I’m leaving you yet again. This time a bit more extended I’m afraid. 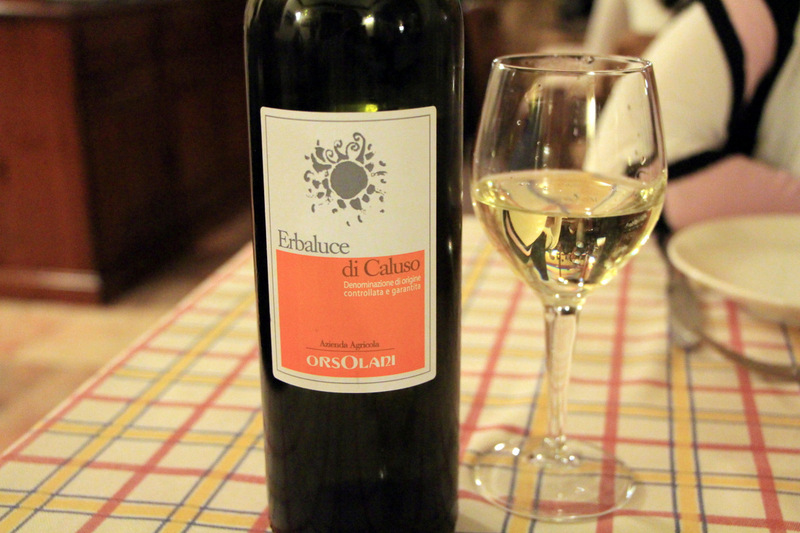 Follow me on Twitter @ziggy601 as I eat my way through Sicilia, or just check the tweets on the left column here. There will be seafood, and there will be couscous in my immediate future. 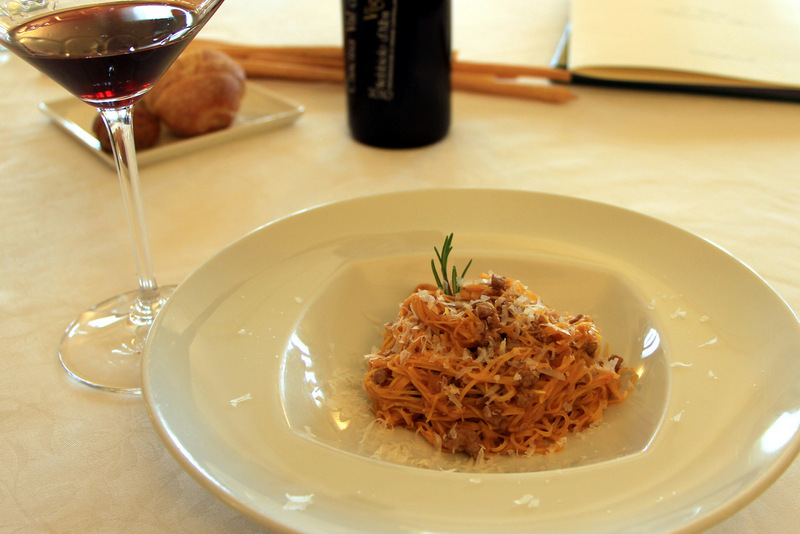 Fusilli with pork shoulder atAgriturismo il Cucchiaio di Legno. 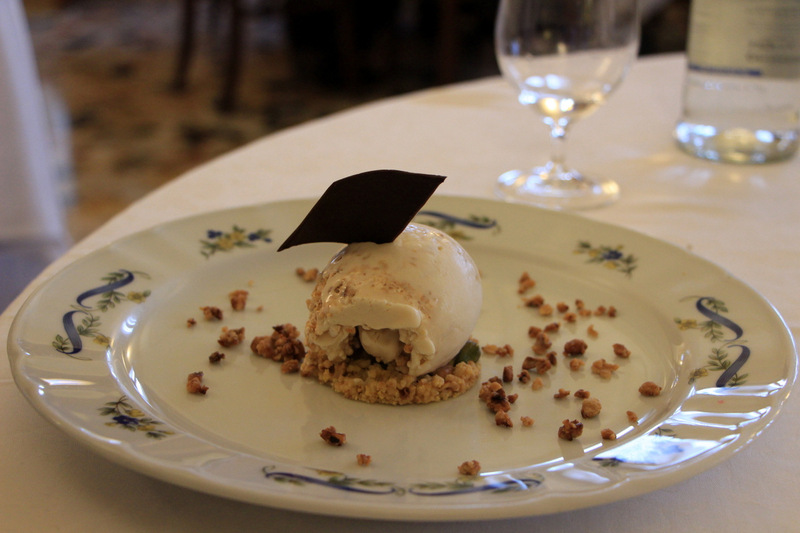 Lake Orta’s lone Slow Food hidden gem produced a feast to remember. While its nearly impossible to pick one dish from this 10 courser, the Fusilli is etched in my mind perhaps more than anything else. The title explains the dish almost in its entirely. Light on ingredients, but big on flavor. Young master Luigi learned from the best.. Mother! 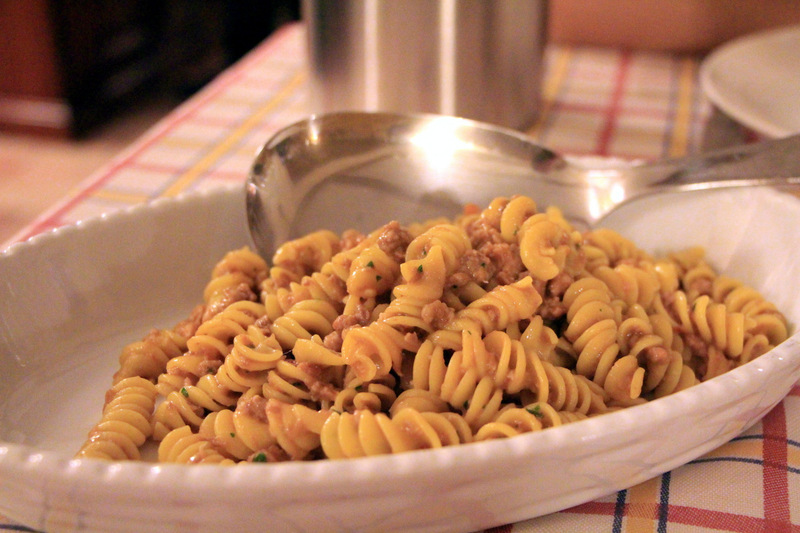 Fusilli with pork shoulder at Agriturismo il Cucchiaio di Legno. 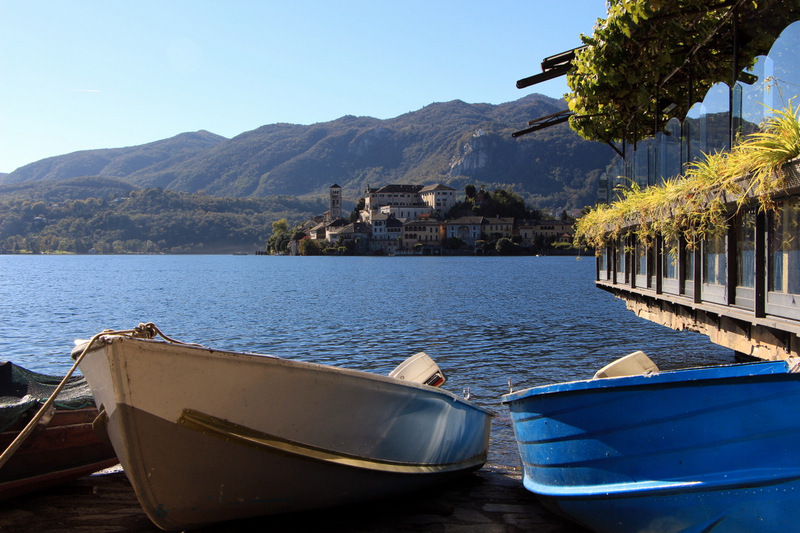 Lake Orta’s lone Slow Food hidden gem produced a feast to remember. While its nearly impossible to pick one dish from this 10 courser, the Fusilli is etched in my mind perhaps more than anything else. The title explains the dish almost in its entirely. Light on ingredients, but big on flavor. Young master Luigi learned from the best.. Mother! 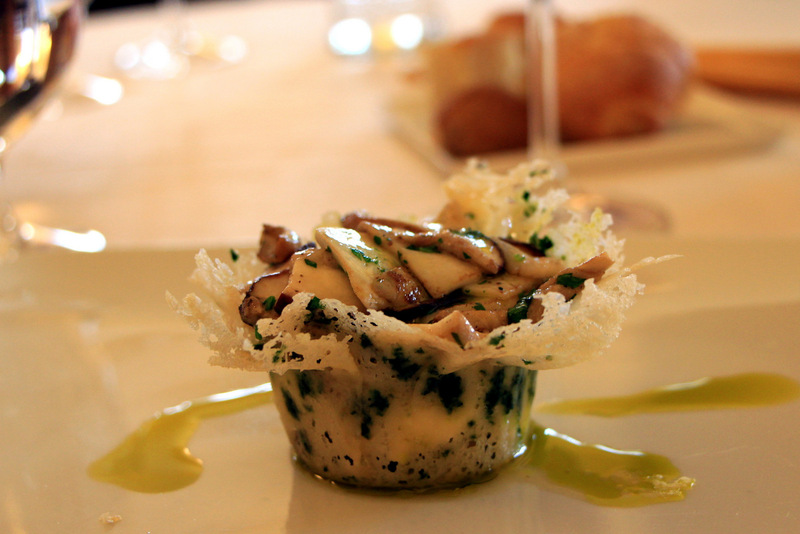 White Truffles at La Bottega del Vicoletto – We came, we conquered. 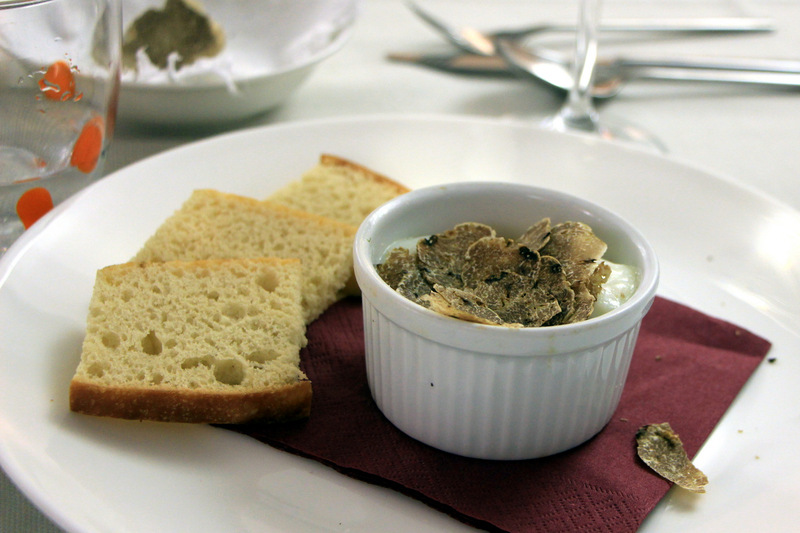 We came for White Truffles during Truffle season, and we took full advantage eating them for lunch and dinner every day and even bought one that we named Raffi. What we quickly realized was that not only every place served them differently, but quality varied. Some shave them in the kitchen, some do it table side, and some leave the truffles in the middle of the room. 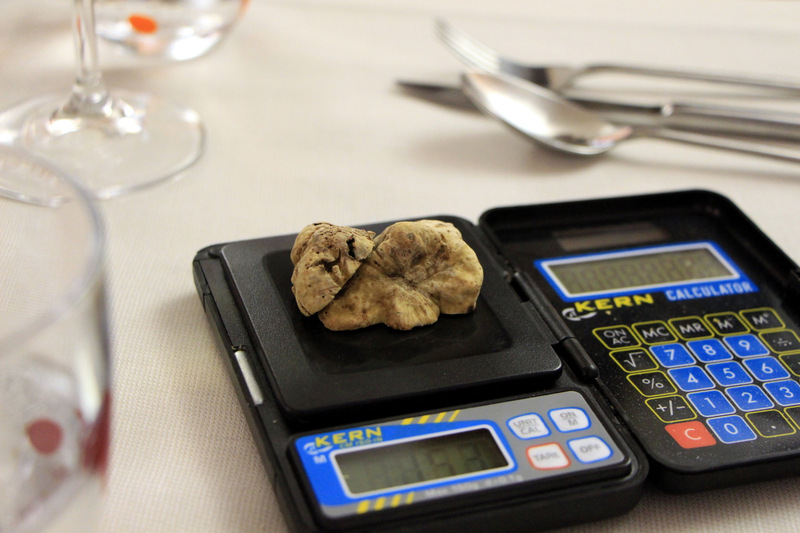 But my favorite way to enjoy truffles was in places like Vicoletto in Alba where they weigh them first, leave the truffles on the table, and weigh them after the meal to figure out how much you ate. 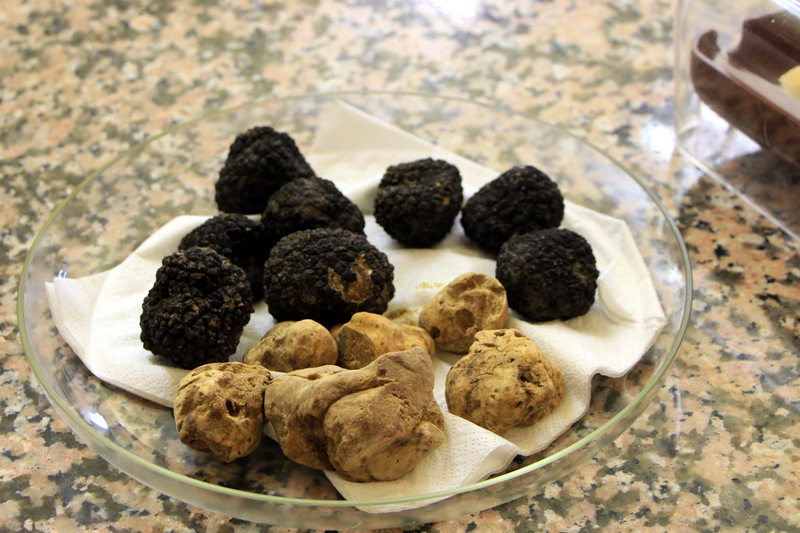 Since truffles are mostly about that magical scent, you are enjoying them for the duration of your meal while they just sit there looking pretty. 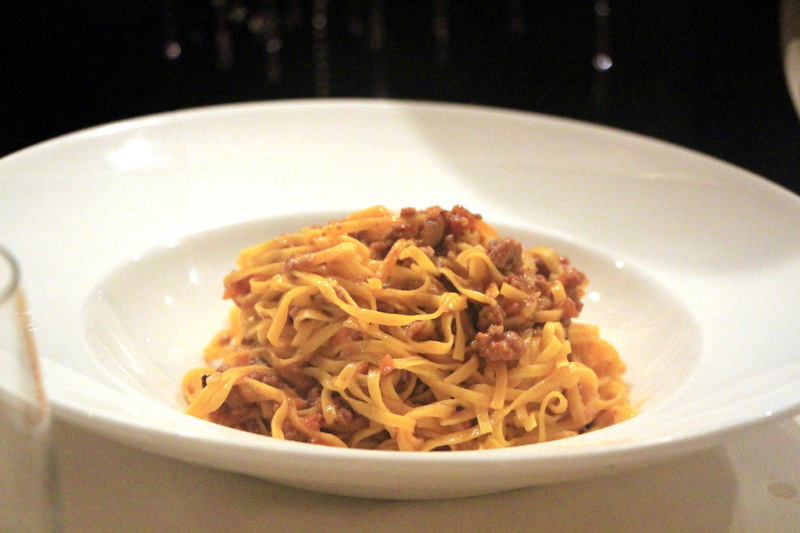 Tajarin with Sausage Ragu at La Torre in Cherasco – Let me start by saying we had this dish next to another Tajarin dish filled with 10 grams of white truffles that cost 3x more. That’s how good this Tajarin was. Bra Sausage which is a mixture of Veal (mostly) and Pork is at the helm of this Piedmont classic, and the result is rich and explosive. Like Mardi Gras in your mouth. Carne Cruda at Il Centro in Priocca – Picking one dish from the meal of the year is like asking Evander Holyfield to pick his favorite illegitimate kid. 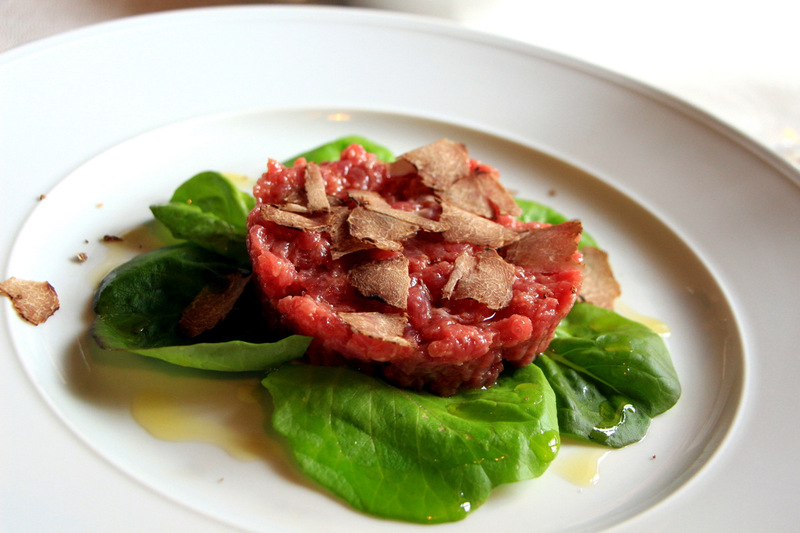 Raw beef, expertly cut by hand, helped by a generous shaving of white truffles. A pure joy with every morsel. 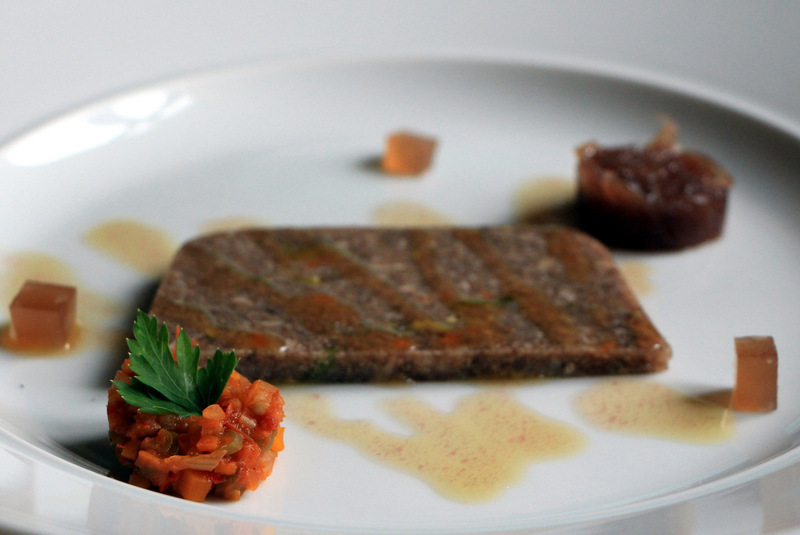 Just don’t you dare call it Steak Tartare. 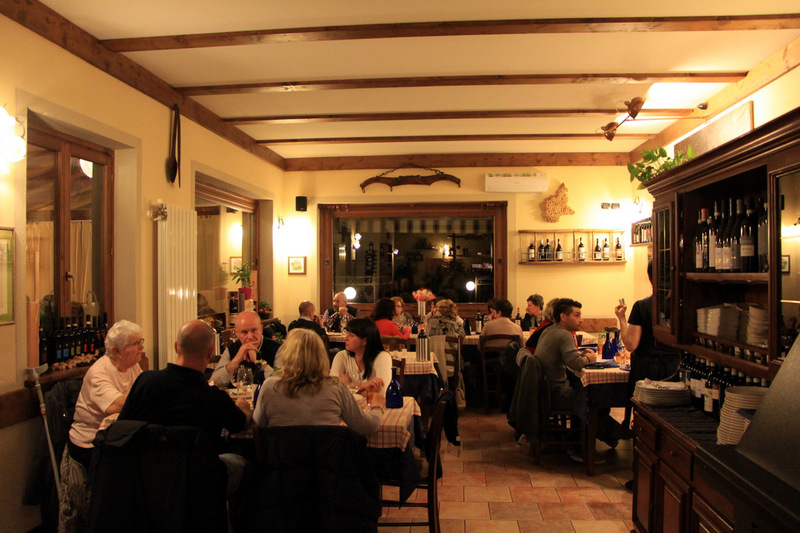 Anchovies and Tuna at Ca del Re in Verduno – This all female crew is making all sorts of magic in the restaurant of Castello di Verduno winery. 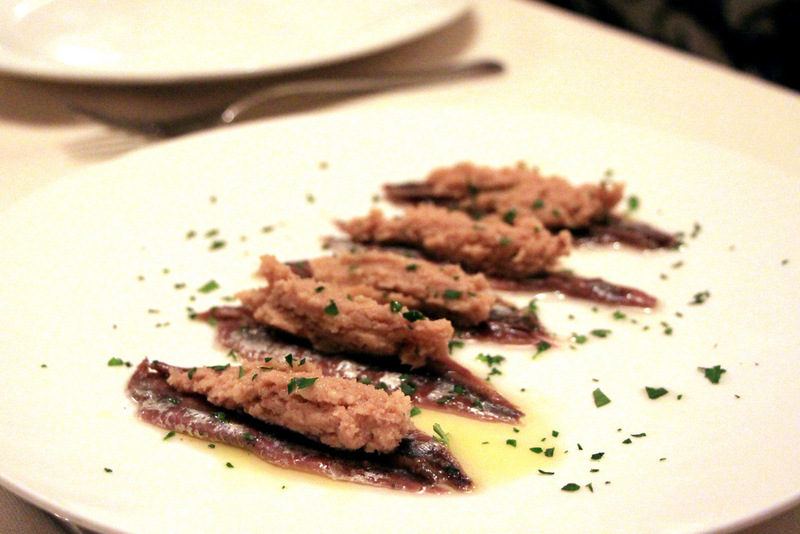 Anchovies covered by the best tuna salad you will ever have, consisting of tuna, hazelnuts and olive oil. 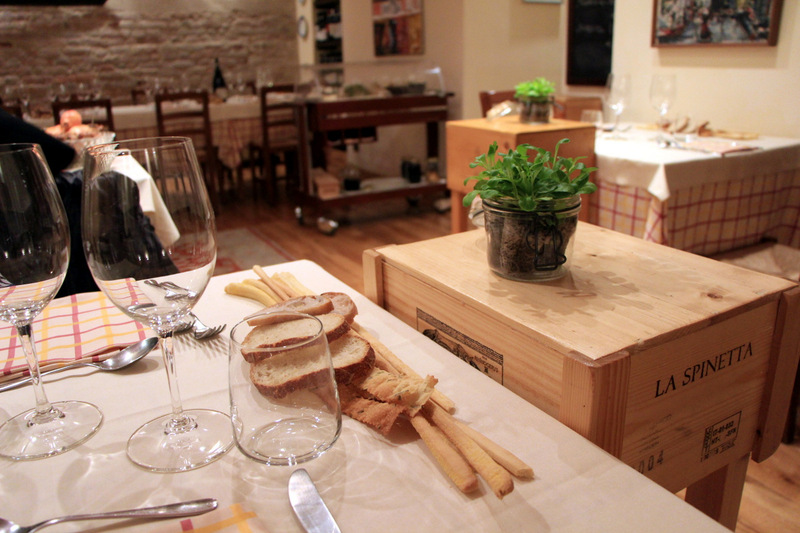 Surprising big flavors from this little Slow Food hidden gem. 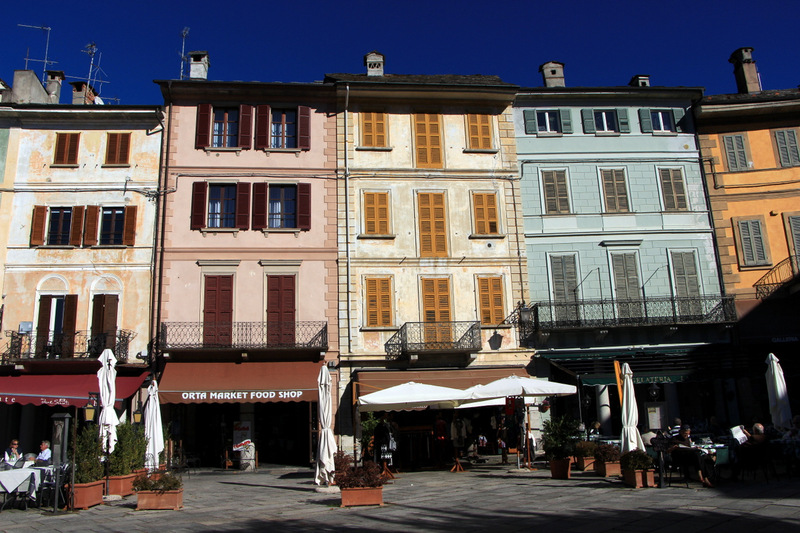 Baci di Cherasco in Cherasco – Cherasco is a town known for two things dear to my heart (perhaps because I dont get enough of them).. snails and kisses. Snails, you can get all over town in every way shape or form (I like the Parisian style), but its those little kisses (“Baci”), that made me weep during a recent foreign movie. I finally finished all the Baci I bought at Ravera. 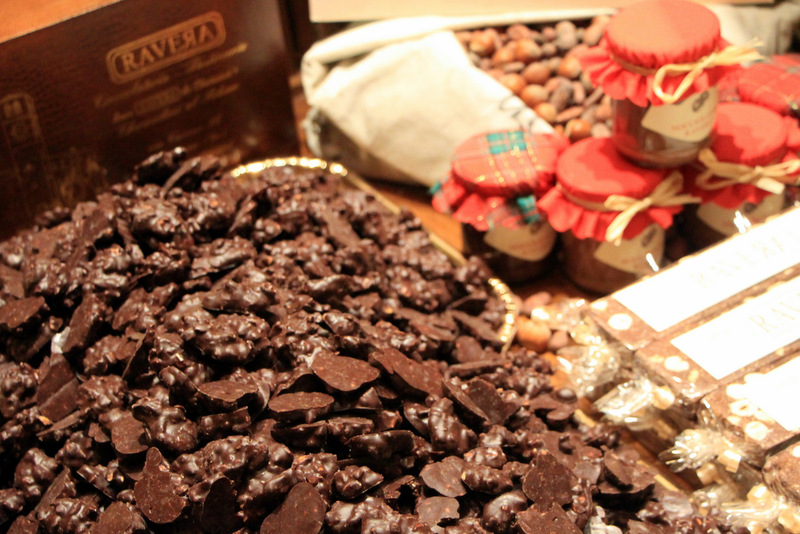 Ravera is one of two shops (that I know) selling these crazy delicious chocolates in the compact center. 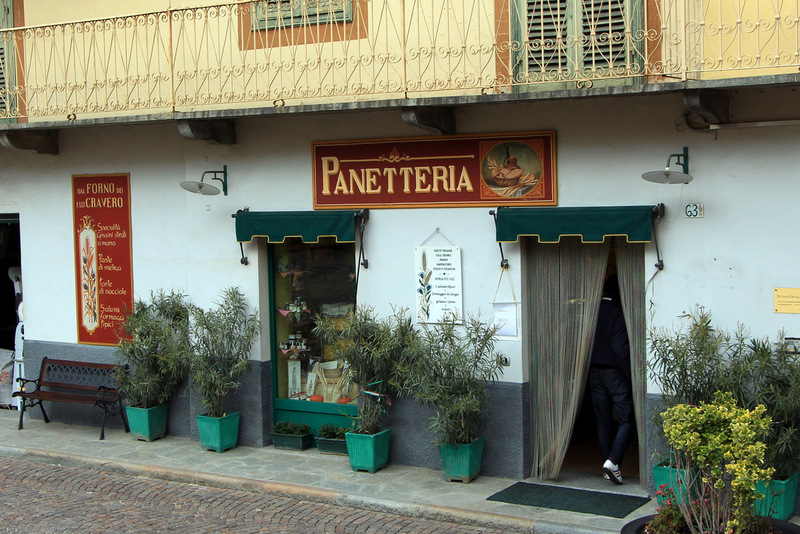 The other one is the famous Barbero a few steps away, who only been selling these kisses since 1881. Braised Beef Cheeks Everywhere – Cheating or brilliant pick. I vote the latter. 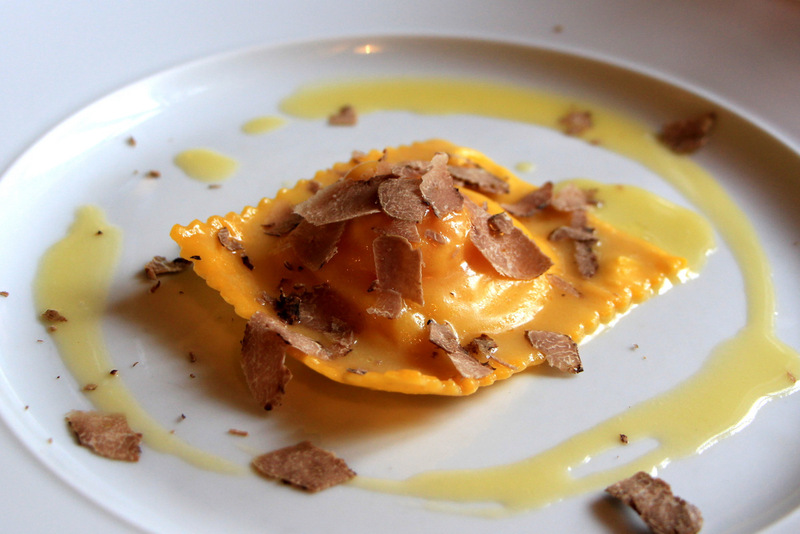 More often than not in Italy and NYC restaurants, Primis outshine the Secondis, and on occasion we skip secondis altogether. 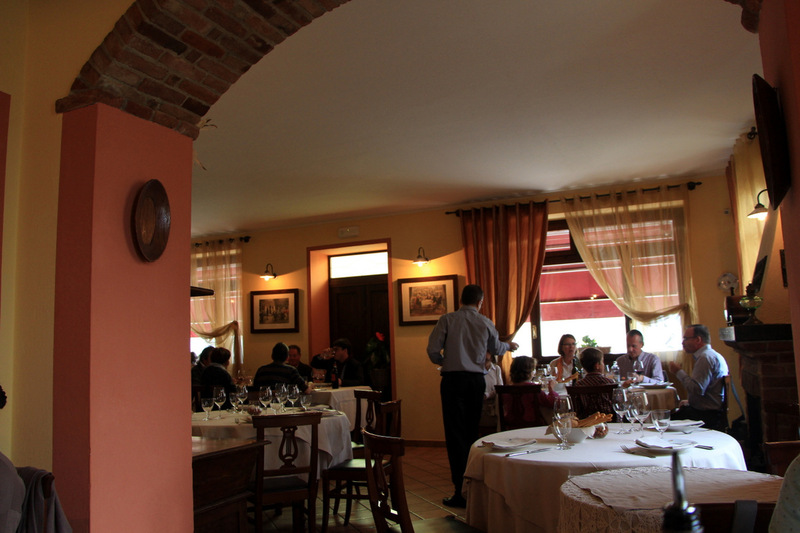 In North Italy however, we find a much better balance between courses partly due to the exceptional meats, game and seafood (e.g. Venice). 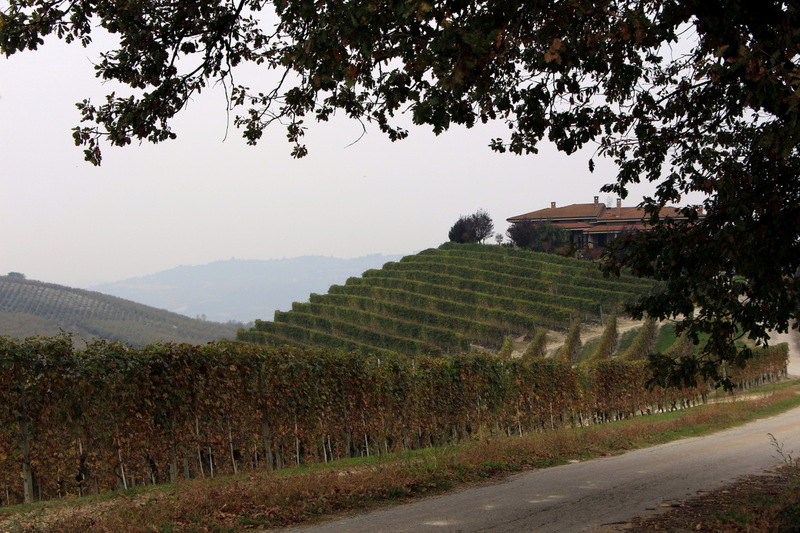 In Piedmont you got the double threat; arguably the best cattle and the best wine in the country. 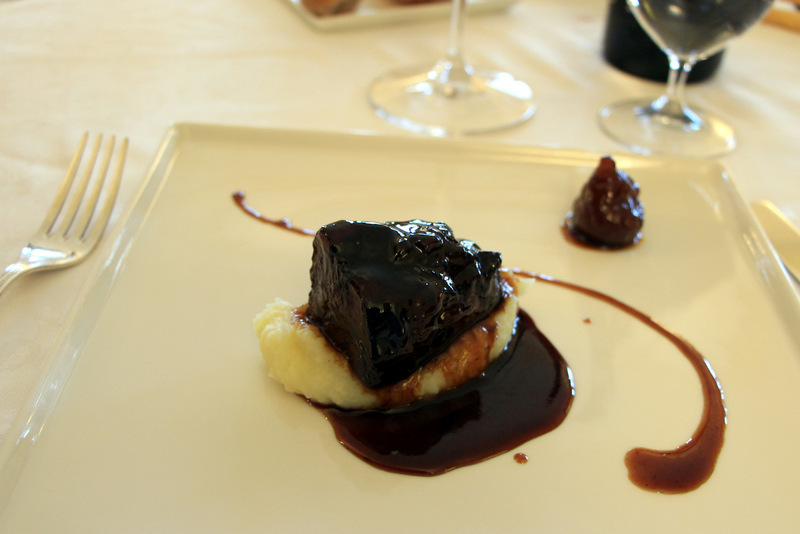 Beef or Veal cheek (Guanciale) braised in Barolo, or even cheaper Nebbiolo can be found just about everywhere. And once you taste one you will want to order it again and again. Top NYC dishes of 2014 are coming up next, but first I have to tell you all about the meal of the year and quite possibly the best meal we ever had. To give you an idea of what I’m talking about… Its well past 3 pm and we’ve been seating there for three hours, alone now in the back room. We are starting to feel a bit agitated that we havent received our bill, and we still have yet to get a tour of the magnificent cellar. Mrs Ziggy is now playing Candy Crush!! When Mrs Ziggy starts to play Candy Crush on her phone it means things are not going very well, unless she finally beats that crazy difficult level that makes her forget sometimes she has children. This kind of inconvenience would normally put a big damper on roughly 99% of our meals, but not even a dent in this one. 30 minutes before Candy Crush I was telling young Giampiero (the son) about how much fun we were having and that we did not mind sitting there for such a long time (we really didnt at the time). He either took my comment a bit too seriously or more likely rightfully shifted his attention to other patrons. That same attention we were so greatly enjoying the previous 3 hours. 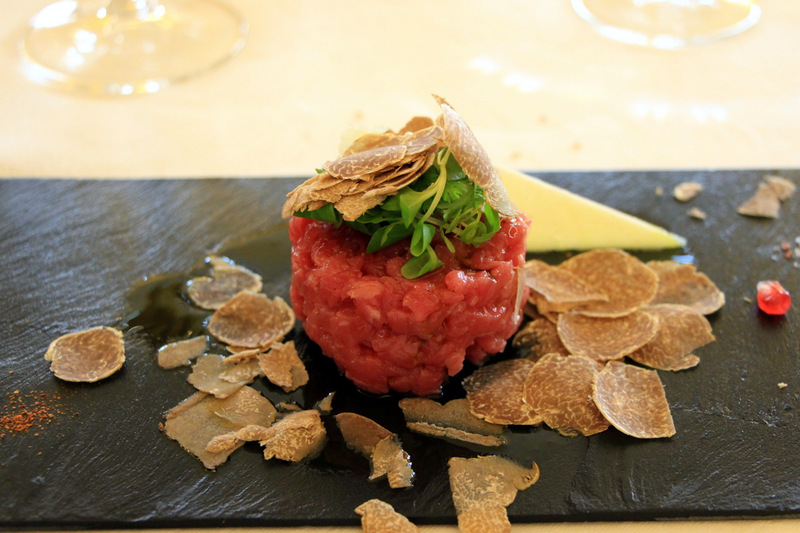 While I had plenty of steak tartars in my life, this was my first ever Carne Cruda – a Piedmontese specialty of chopped beef, not as finely minced as tartare. 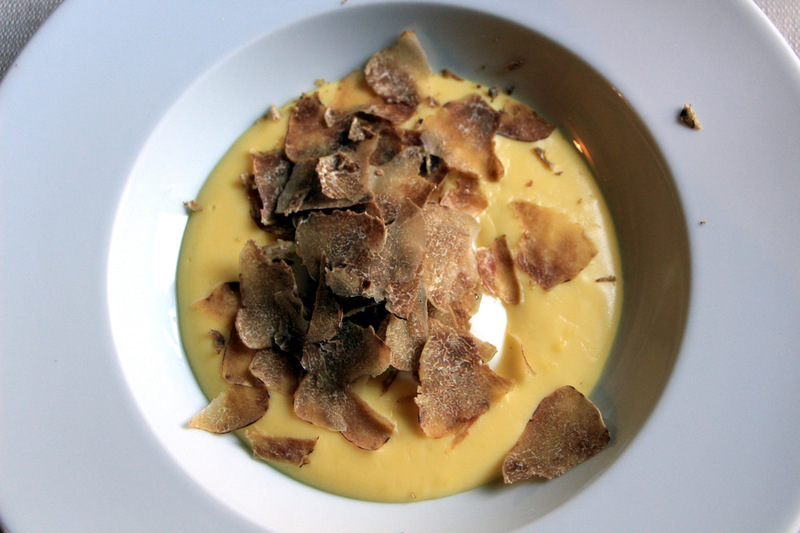 Helped by a shaving of White Truffles (26 euros fixed price) this was a top dish of the trip nominee, and led the way to more Carne Crudas to come. For those brainwashed and scared of raw meat, Carne Cruda is perhaps the best way of self hypnosis. 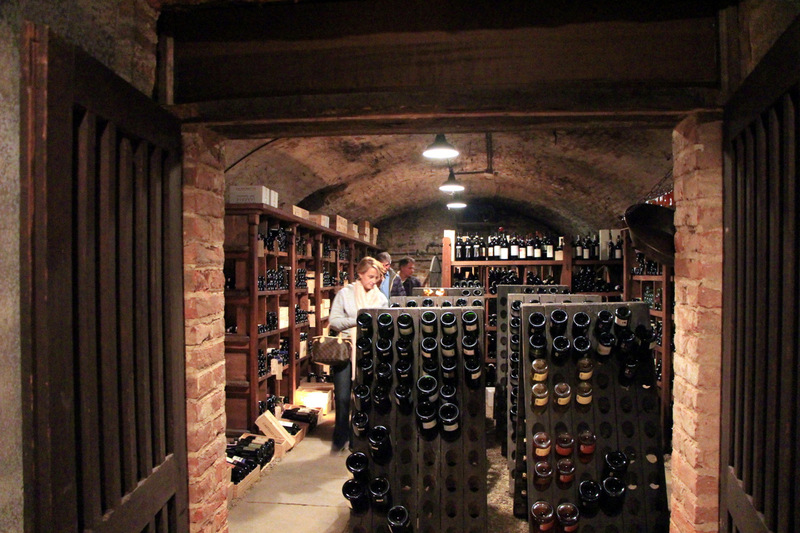 A visit to the magnificent cellar was the perfect finish to a most memorable meal. Bravissima! But there was another surprising aspect that contributed to this little one nighter even more than the lake itself. Food! 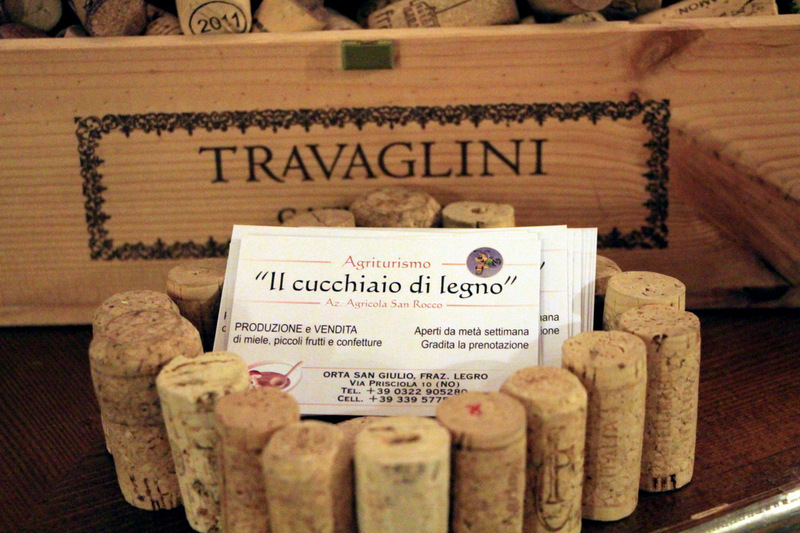 As in the fairly new Agriturismo il Cucchiaio di Legno where we also spent the night. 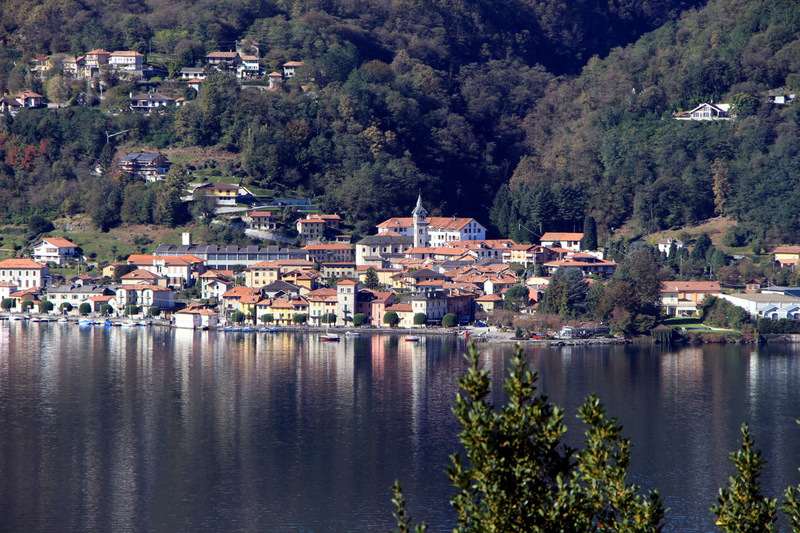 The Agriturismo is not on the lake so no lake views, although the lake is a short 5 minute drive. 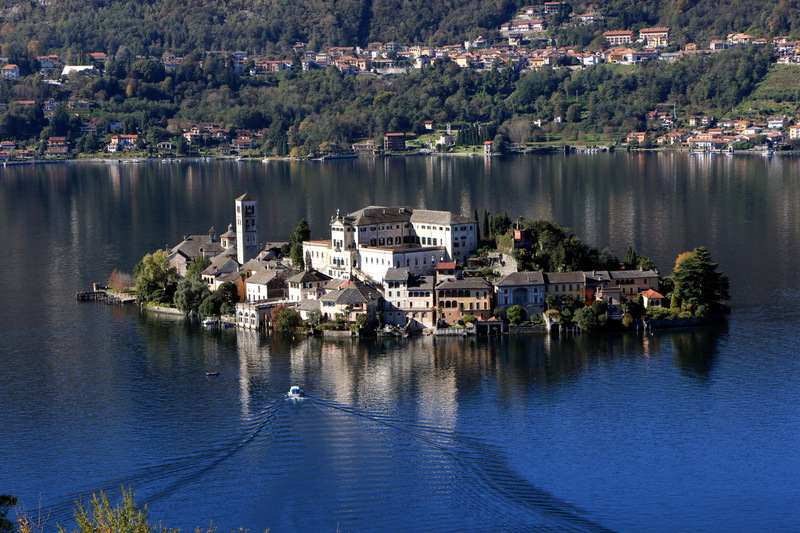 I imagined that once I pass by the lake side hotels of Orta San Giulio I would have hotel envy, but that did not materialize. I was very happy with this choice and can not recommend it highly enough. 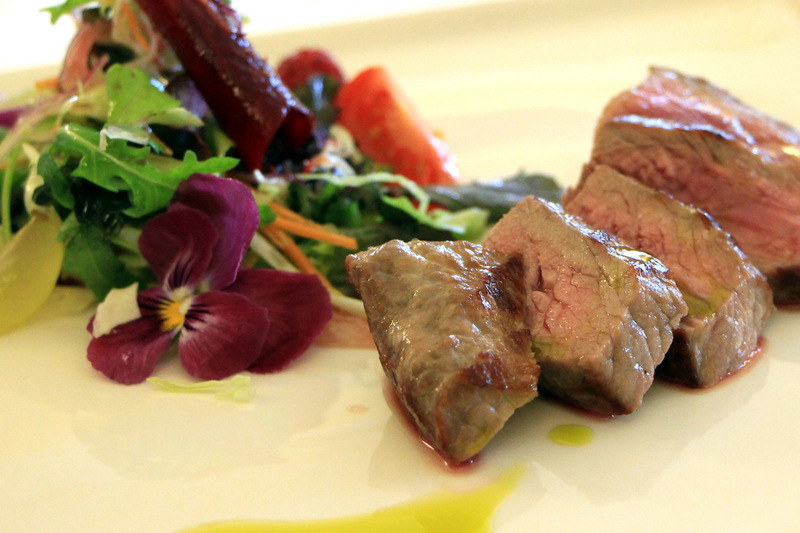 And if you are staying elsewhere and enjoy good food you should at the very least make it for dinner. 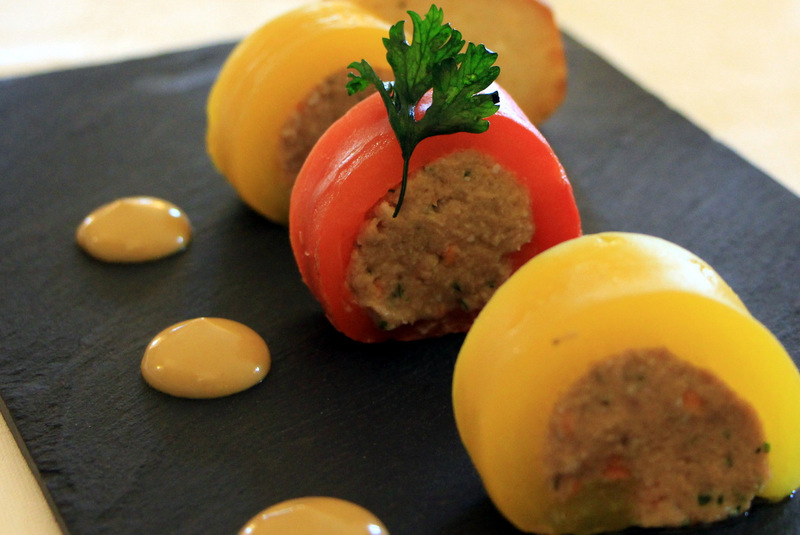 Sure you can have a nice meal at the 2 Michelim Villa Crespi or at Locanda di Orta which just got a star a few weeks ago, but for something more “homey” and casual it doesnt get much better than this Cucchiaio. My type of menu here. the absent kind. You eat what they prepare that day, and boy did they prepare plenty. 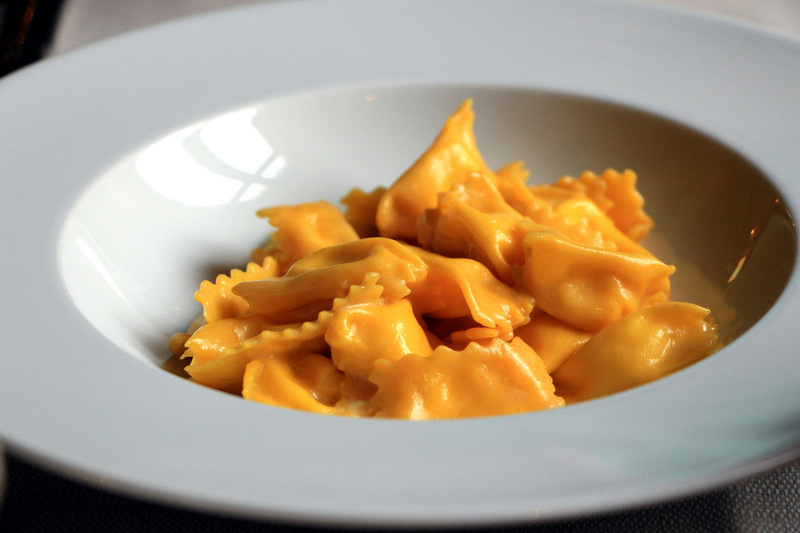 We indulged in a fine plate of Salumi, delectable little salmon bites, and an only in Piedmont shocking Syrian soup. 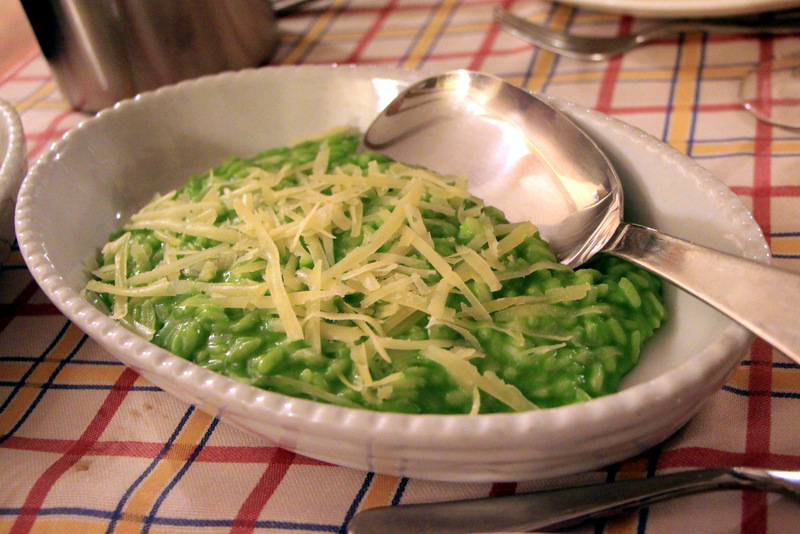 Then came the “Welcome to Italy” green Risotto, and a homemade Fusilli with pork shoulder that served as another reminder that big flavors can come out from these unassuming simple dishes. 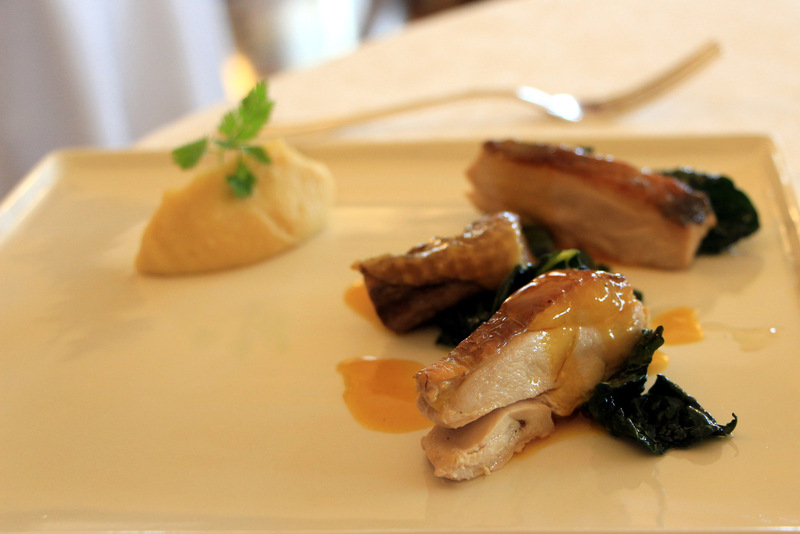 A juicier than juice hen with potatoes, and an even juicier veal cheek sealed the deal before we heard those magic words we’ve never heard in a restaurant before. “Would you like some more” A 10 course feast for a mere 25 Euros. Considering how delicious everything was, it was like a bank robbery. 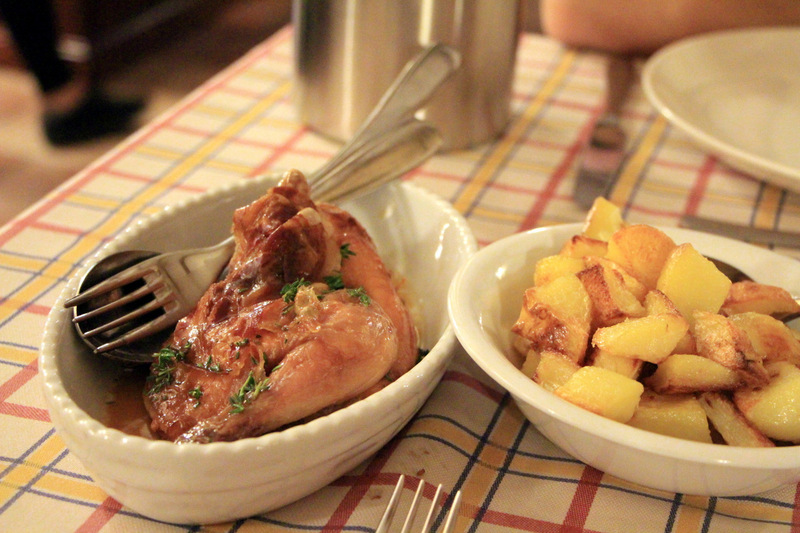 We reminisced about a meal in Coimbra, Portugal as perhaps the only one that beat this value. 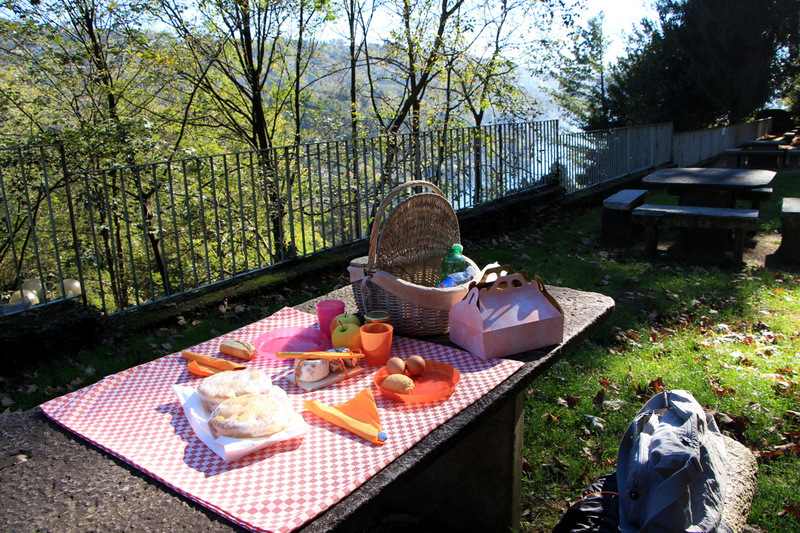 They also provided a very nice picnic basket for us for lunch that we used on the picnic tables of the Sacred Mount of Orta overlooking the lake. Just the two sandwiches in there worth the 10 € per person tag, but there was so much more. 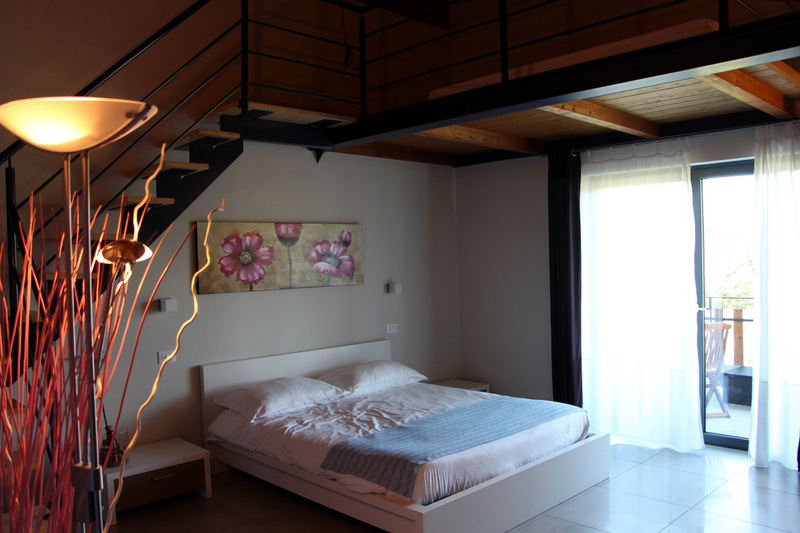 The hotel room was very spacious and modern, with a loft in case we have guests (you never know) or Mrs Ziggy gets mad at me for packing only shoes with holes (like I’m supposed to inspect carefully before packing). You also get a nice patio facing the back yard. The whole place is so serene during the day you can hear a lung collapse. I was surprised to see it run by 3 young girls, and the cook responsible for that wonderful feast, Luigi, is 28 years old. There must be a law that all young chefs in the lakes region must be called Luigi (ie Luigi of Salice Blu in Bellagio) and when they reach puberty they need to change names. Makes no sense if you ask me. What else did we do besides eat and inspect shoes. We Spent some time in the Sacred Mount. Quite a stunning setting overlooking the lake, surrounded by it pretty much. 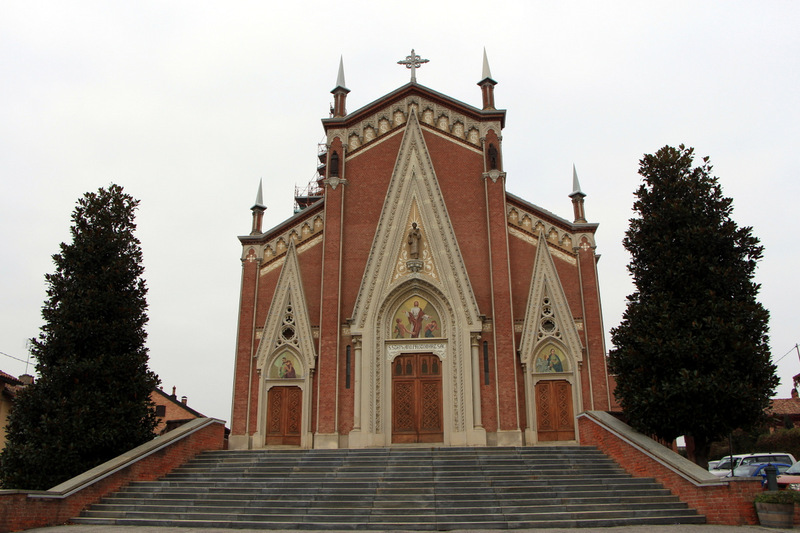 Its a series of chapels depicting the life of Saint Francis of Assisi, from chasing goats as a child, to chasing goats as an adult. I like goats as well but in a different way. He apparently loved animals according to my friend. The place was nearly empty, and extremely quiet. 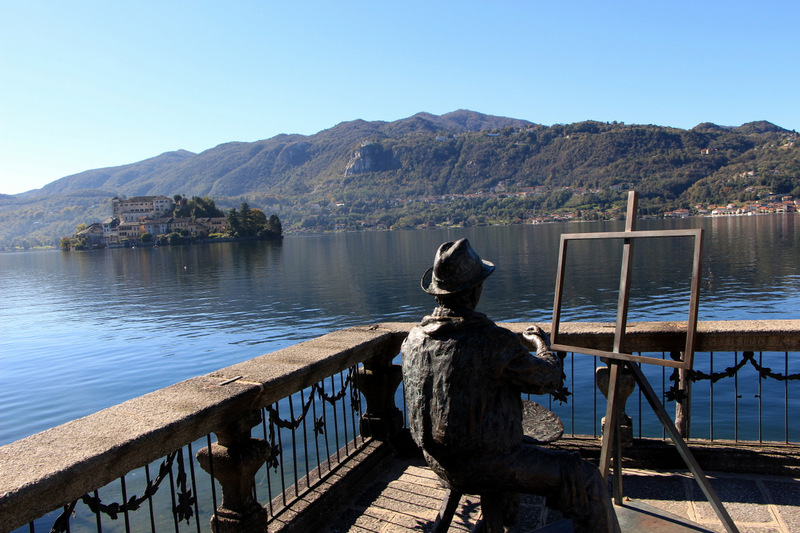 If someone plays Doodle Jump down in Orta San Giulio you would hear the doodling. The lake views from here is what you mostly see on Google images. There are picnic tables by the parking lot, and I cant imagine a better setting for a picnic. 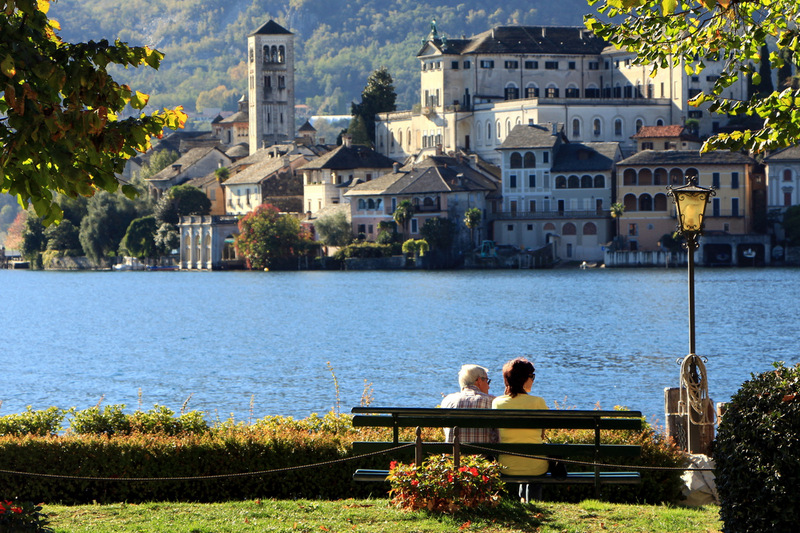 The town itself Orta San Giulio was so much more pleasant than I thought, that we didn’t feel like taking a boat to the island and instead just wandered all over town. 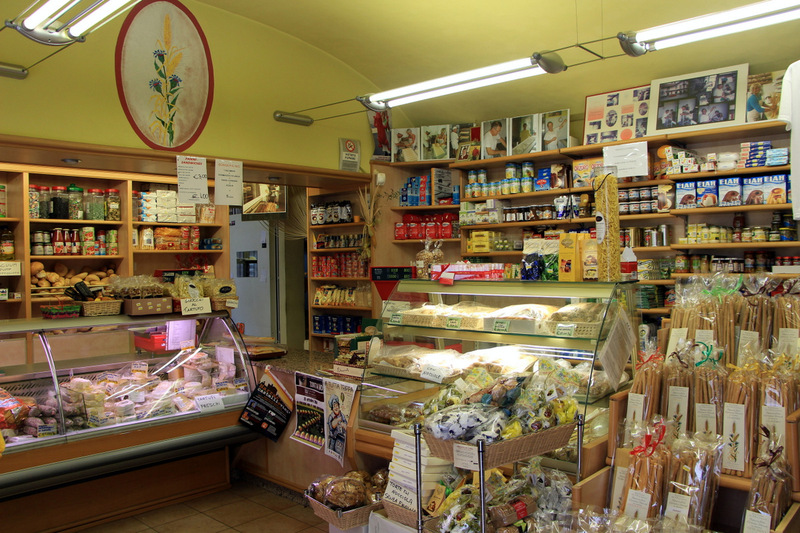 We spent more time than Mrs Z liked in one particular deli with a chatty French owner where we sampled some salami and over 25 year old balsamic vinegar before we bought “Rafi”, the little truffle we carried with us the rest of the trip. Rafi was a good sport, vacuumed wrapped in rice and all. Update: Rafi is dead. Unless the guy made a switcheroo on us at the last minute, the truffle just did not have it by the time I used it a week later. The much anticipated dinner with our truffle at home turned out to be a simple Linguini with butter. I’m having a writer’s block of the worst kind. Earlier this evening I burned some of my more useful fingers on both hands in a freakish oven accident, so the process of typing is hampered a bit. Lets just say DO NOT USE OVEN MITTS BOUGHT IN PUERTO RICO GIFT SHOPS. I’m strongly considering unfriending the person who gave it to me on Facebook. Only problem is I’m not sure exactly who that person is, and I dont have a Facebook account. It hurts almost as much as listening to Ariana Grande in the car, a condition that millions of dads these days are suffering from at the moment. Why would anyone buy cheap oven mitts anyway. Oven mitts got only one job really when you think about it. Like the hideous looking car bumper protectors you see on the roads used to protect and preserve bumpers from scratches, purchased by the same people who can no longer wrap their remote controls in plastic due to public pressure. One job: PROTECT YOUR HANDS FROM SECOND DEGREE BURNS. Failed! This is extremely unfair of me to write about my damaged precious fingers in a post about one of our favorite, most talked about meals in recent memory. But I’m also using the blog in a way as a diary in case I’ll have to write a book at some point. I was told that that is the next step for a successful food blogger. The only minor hurdle is the “Successful” part, and learning how to write properly. Or spell! La Coccinella was particularly memorable in many ways. 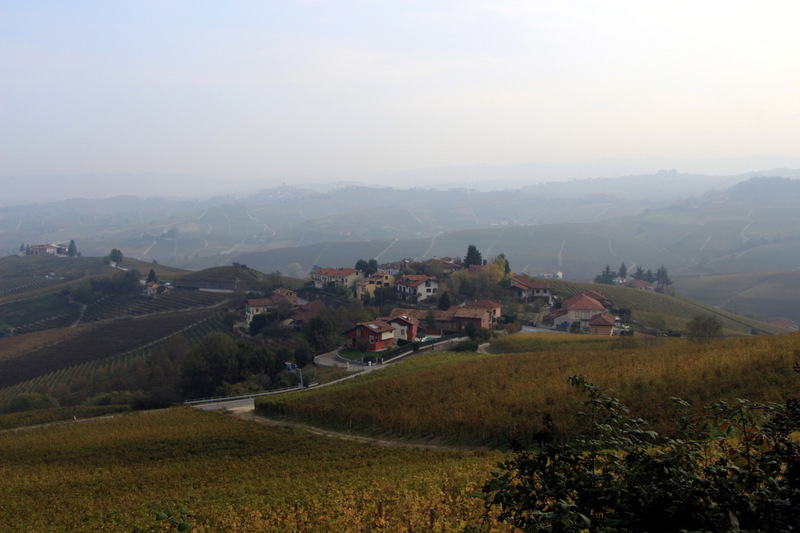 Starting from the spectacular drive to Serravalle Langhe from Barolo where at some point the sudden silence from Mrs Z meant that she wanted me to concentrate on the road and not look at all the beauty surrounding us. I remember clearly the majestic Lady of the Snow church in Monforte D’alba that we found on the way. The Israeli couple we met in the parking lot of the restaurant. 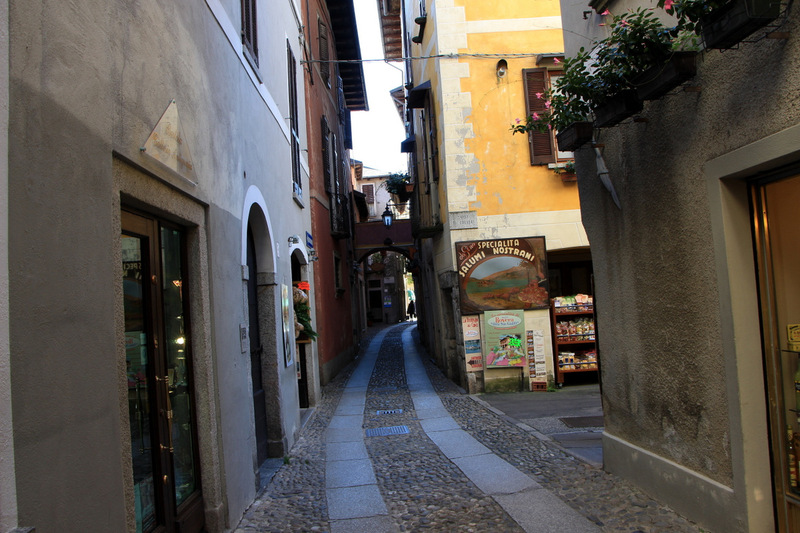 The drive to Serralunga d’Alba after the meal that made me want to go to the bathroom, partly out of fear but mostly just because I needed to go to the bathroom. But most of all it was the meal and the hosts, the three stooges, Alessandro, Massimo and Tiziano, who dished out one magical plate after another. 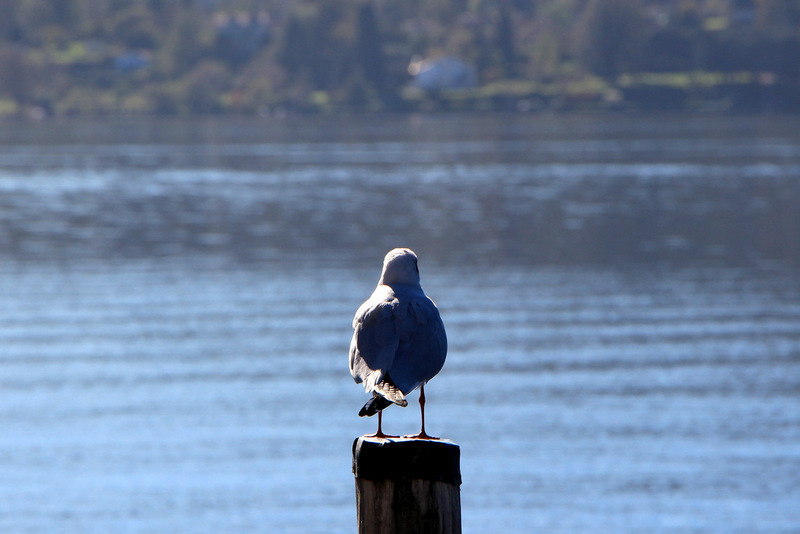 The anticipation, and a quick glance at the menu meant cancelling all post meals appointments. We are staying for another marathon. 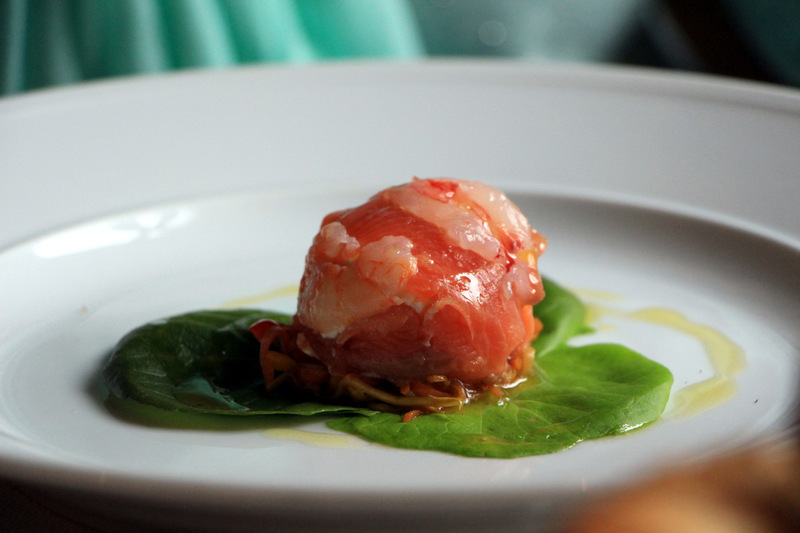 The menu also features antipasti with the option of trying all of them. Guess what option we chose. Salmon, shrimp and cheese ball set the tone nicely. 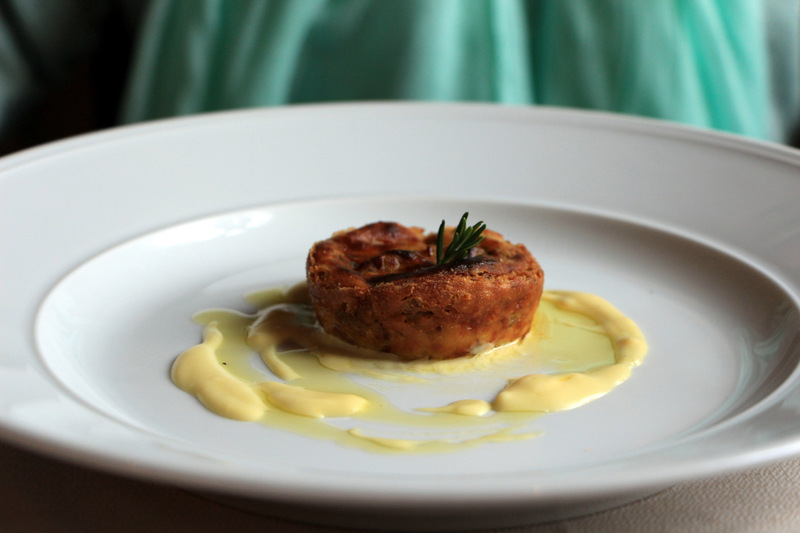 A lovely Porcini tart followed. When Mrs Ziggy eats anything with mushrooms that means you just did something special. 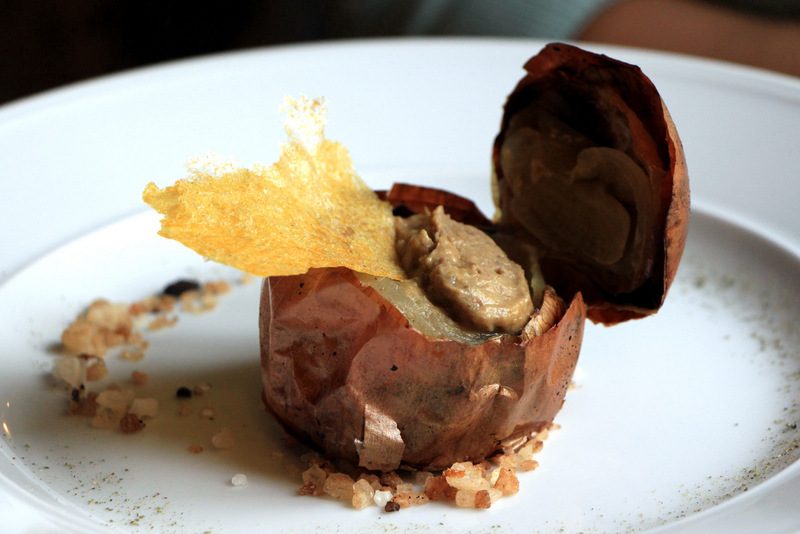 Perhaps the most interesting thing we ate here came in the form of an onion. Upon arrival, the first signal from the brain is that there’s no conceivable way this thing tastes good. Its an onion! An onion that is baked with salt then filled with chicken liver, baked some more, sprinkled by some more salt and Voila! One of the most unique and delicious dishes of the trip. Lastly an outstanding veal terrine with a supporting cast that would make Woody Allen envious: An onion marmalade and a veggie tart. Mrs Z was also especially taken by the Plin stuffed with cheese. 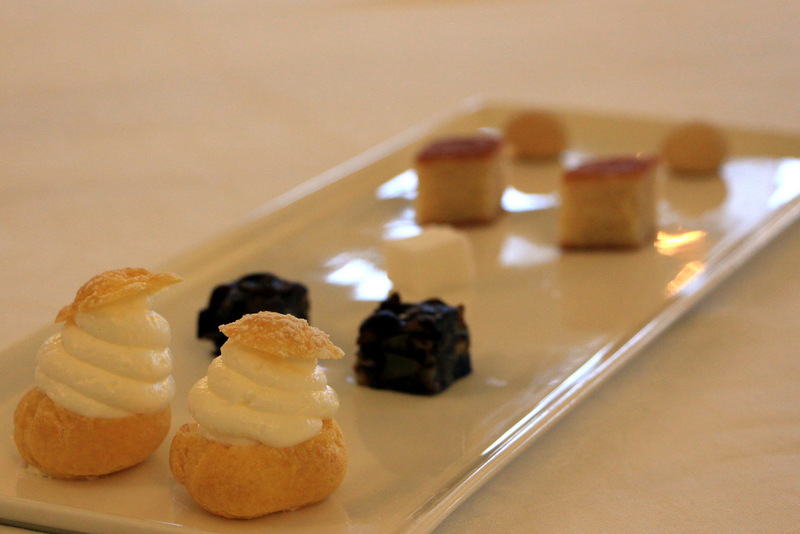 Surprising big flavors coming out of these unassuming little things. 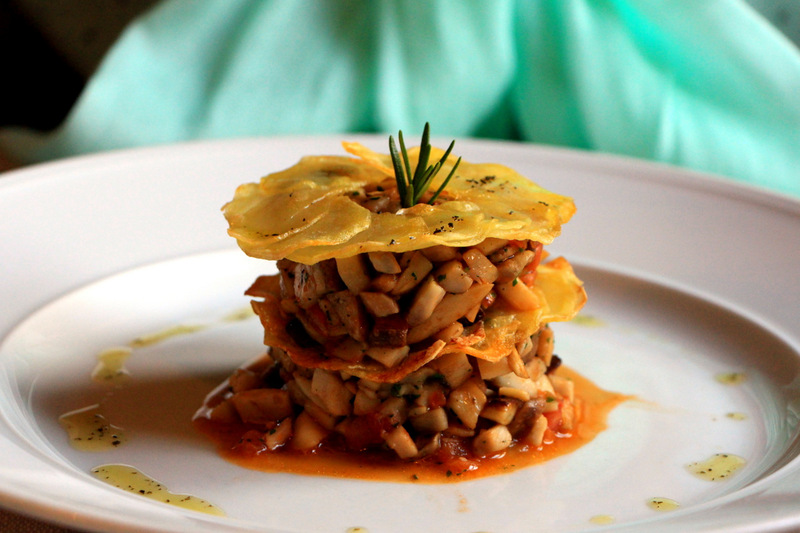 The leaning tower of Porcini with potato was nice and meaty, though could have used a touch more seasoning. 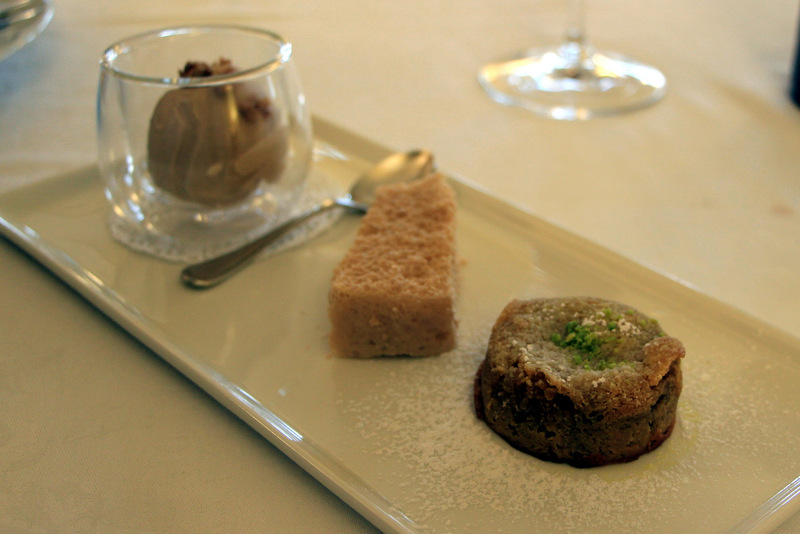 Hazelnut/chocolate cake was the perfect finish to a very enjoyable meal. 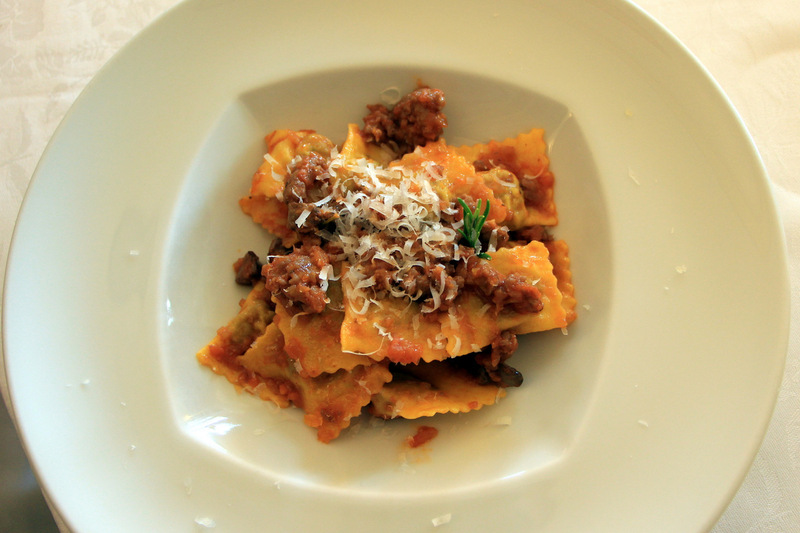 One of a handful marathon meals we did during this trip, and one I would love to repeat. I can not recommend this one more highly. Well, judging by the start of this post I guess I could but choose not to. 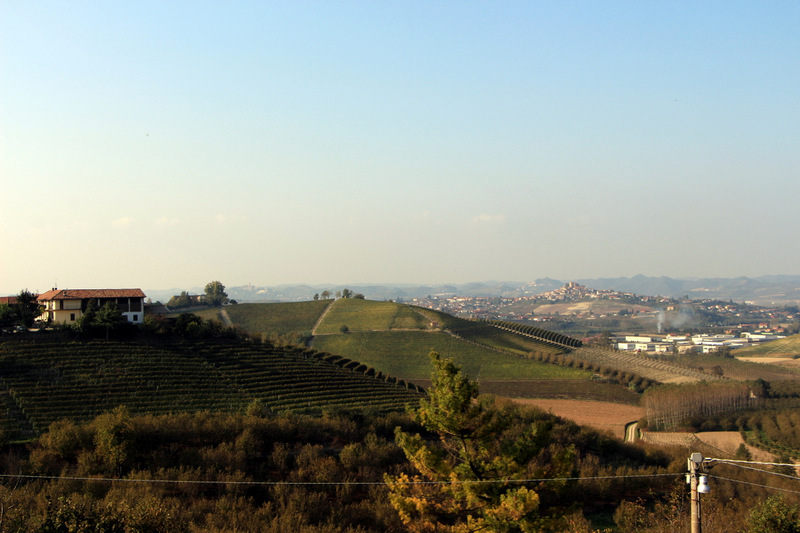 Barolo, arguably Italy’s grandest, most celebrated wine, is produced in the magnificent Langhe Hills in Piedmont. 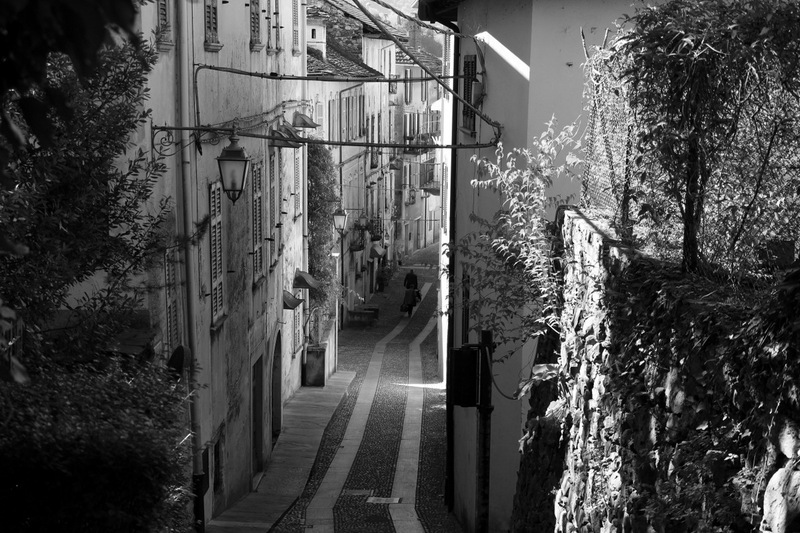 Visitors from all over the world flock to the Barolo zone, and the picturesque hamlet that bares its name to see where the magic is made. You got the wine museum, cork museum, wine tasting galore in every corner, wine, wine and more wine everywhere you turn in the entire region. 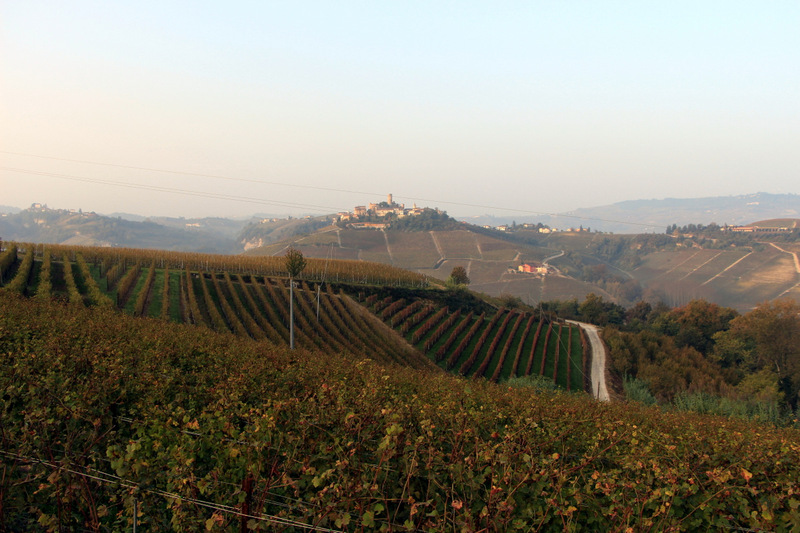 You arrive through Barolo vineyards, leave through Barolo vineyards, and make wrong turns on purpose as you drive through more vineyards. So naturally, here we are, flying 4000 miles from NYC to Barolo, risking our lives while maneuvering our little Fiat up and down mountains through regional roads built for smaller Fiats. 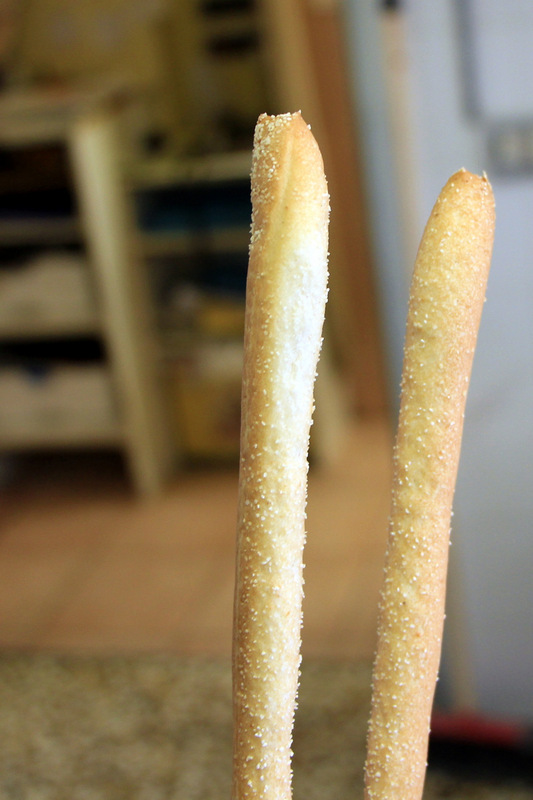 All that for.. you guessed it… Breadsticks! The story begins just like many other food stories begin… with constipated leaders (Like David Ben Gurion leading to the invention of Israeli Couscous). 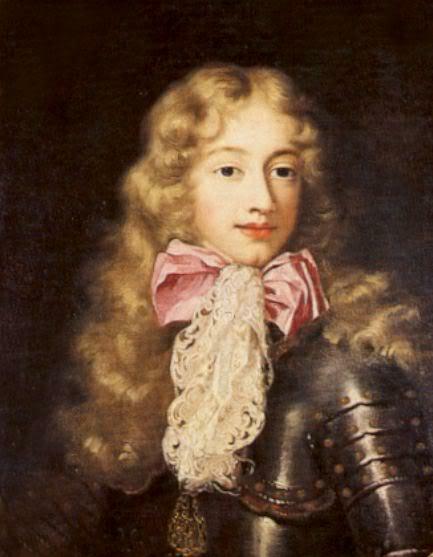 It started in 1675 with the young Victor Amadeus II from the House of Savoy who was suffering from all sorts of digestive ailments. His mom asked the court physician if there’s anything he can do, and the physician recalling his own digestive issues as a child, remembered his mom feeding him some sort of cracker. So he then asked the court baker (How do I get one of those – Craigslist?) to produce something similar that is fully baked and voila! The breadstick is born, young Vito poops regularly and becomes king of Sicily, then king of Sardinia, winning some key battles. You could say if not for breadsticks Italy would have been part of Austria today. Another duke of Savoy was addicted to the stuff, not so much to eating it, but crushing them with his hands while watching opera. Must have been extremely annoying to the season ticket holders right next to him. 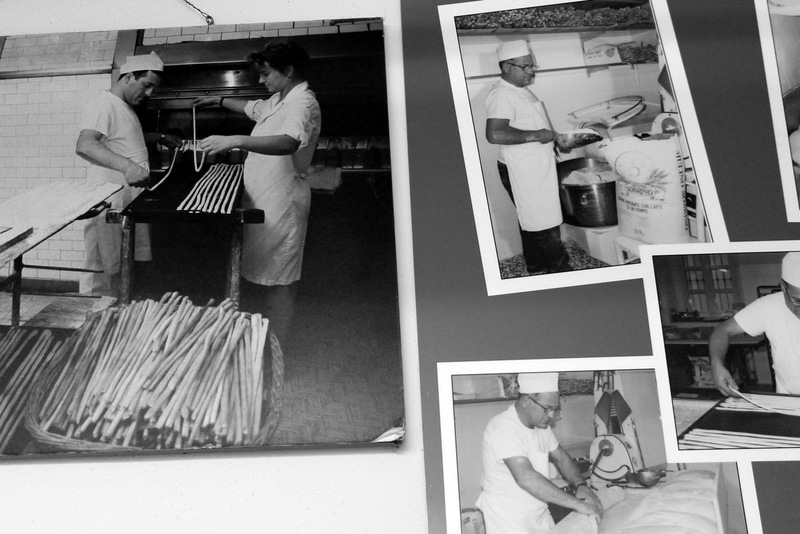 Even Napoleon upon discovering Grissini, set up a special UPS service to ship them from Turin to Paris daily. These days, step inside La Torre in Cherasco (above) and the first thing you notice is not only a bouquet of Grissini with other bread occupying the entire side of your table, but the same setup on every empty table (empty because you are a tourist eating before everyone else, partly because you are terrified of your GPS and its pitch dark terrifying shortcuts). 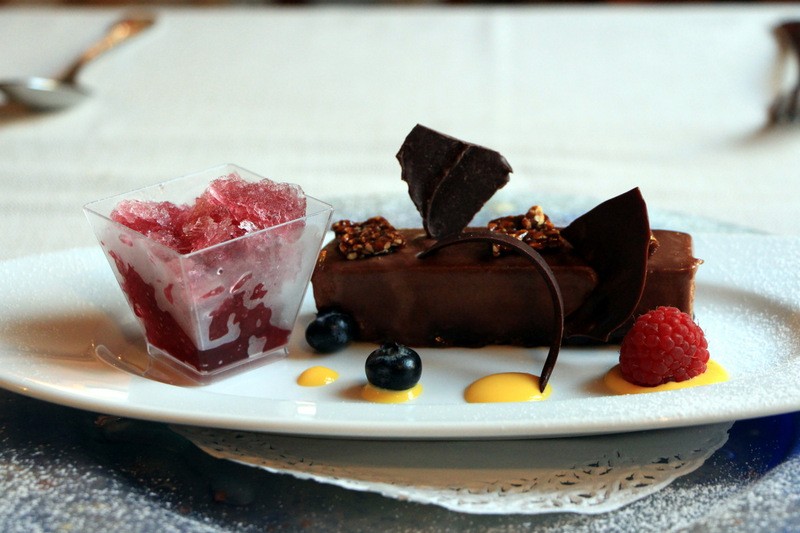 No flower bouquet can compete with this welcome, or as yummy. 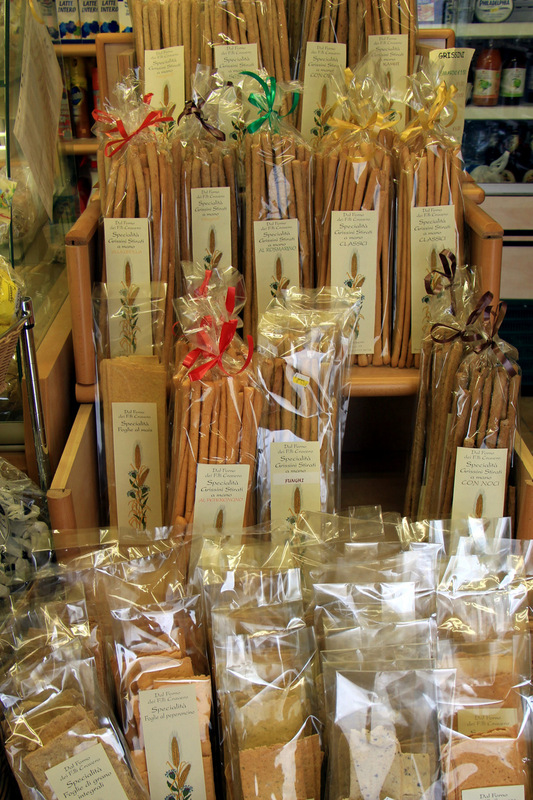 The same Grissini then follow you all over Piedmont tables and well into Emilia Romagna. 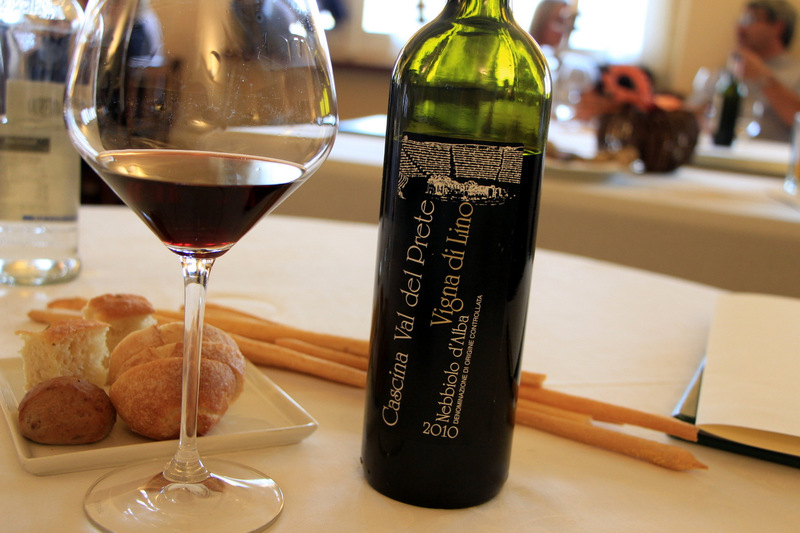 The tradition is as strong as a Barolo. While here in America the closest we have to any sort of breadstick tradition is that of Olive Garden, who bastardized the breadstick just like we did with the Bologna, Alfredo sauce, and everything else Italian. 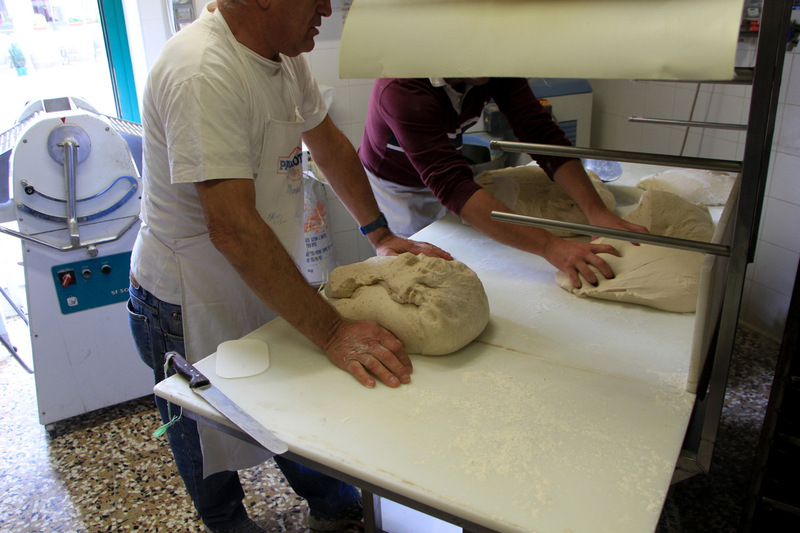 The process at Cravero, the areas only Grissini maker, starts early with the dough preparation. The kneading, the mixing with hazelnuts, rosemary, hot peppers, or other carefully selected ingredients as the Craveros have been doing for the past 35 years. We witnessed them prepare the bulky strips, applying the final touches to form the correct density to prevent any bubbles during the rise. Then.. long lunch, coffee, manicure, nap Italian style, letting the dough rise and do its thing for four hours. 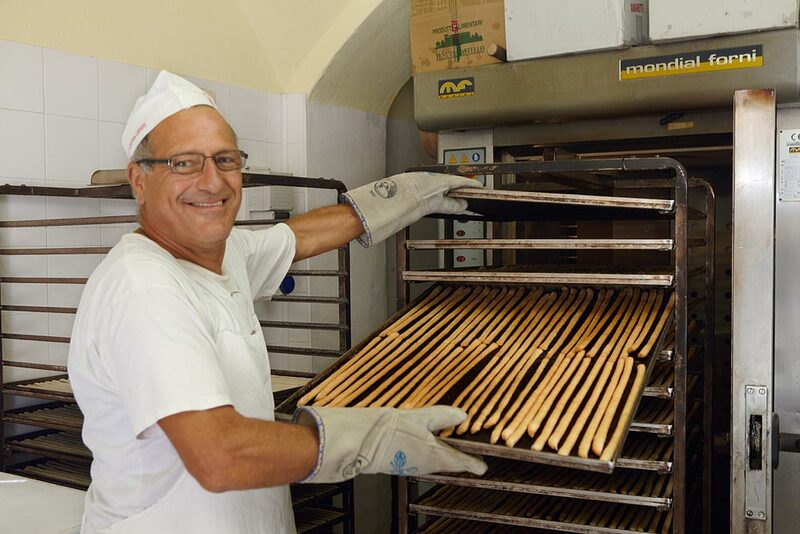 After that the dough is flattened and fed to a machine which produces the small strips which are then easily hand stretched before its bake time. All that in front of drunk onlookers fresh from their wine tastings, peeking through the window. Actually, there doesnt seem to be much rest for Daniela and the boys. The store is not going to run itself, the exquisite truffles Daniela showed us, will not smell themselves, and there’s more baking to be done. 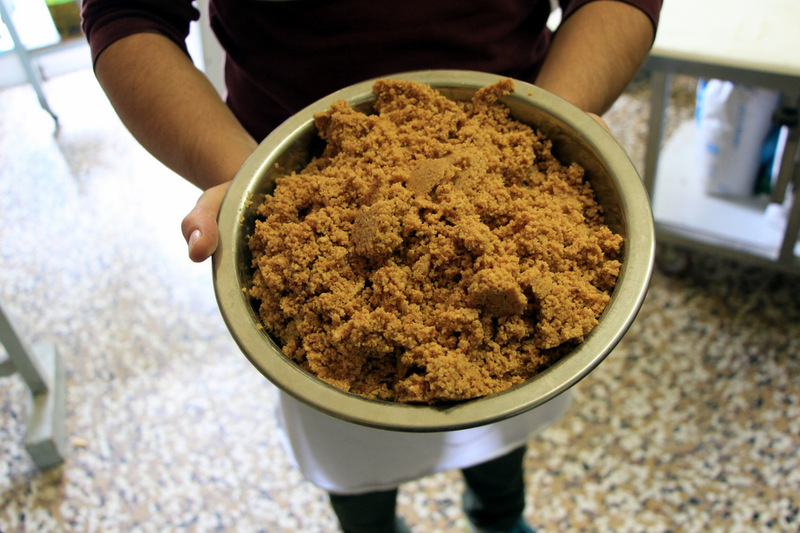 Traditional hazelnut cakes, cookies, “Floglie” crisps, and Tajarin pasta. We were particularly fond of the crispy “Maize Biscuits” which we are still enjoying at home 3 weeks later. 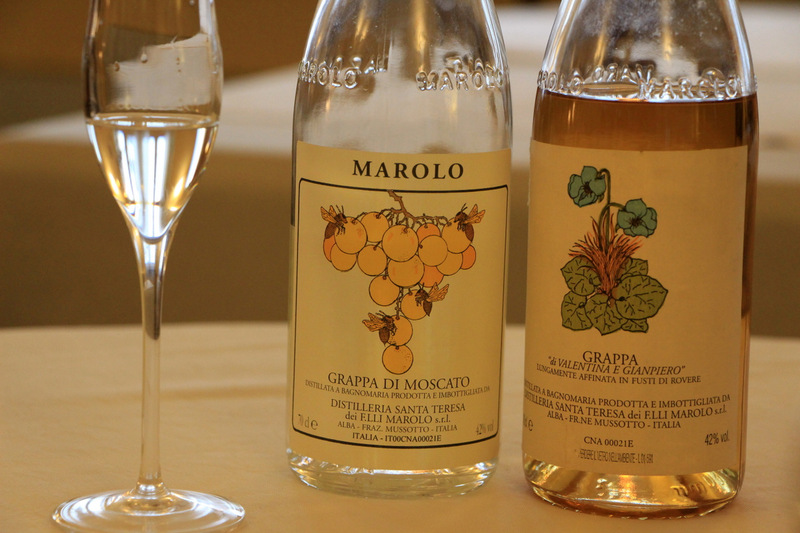 Cant make it to Barolo? 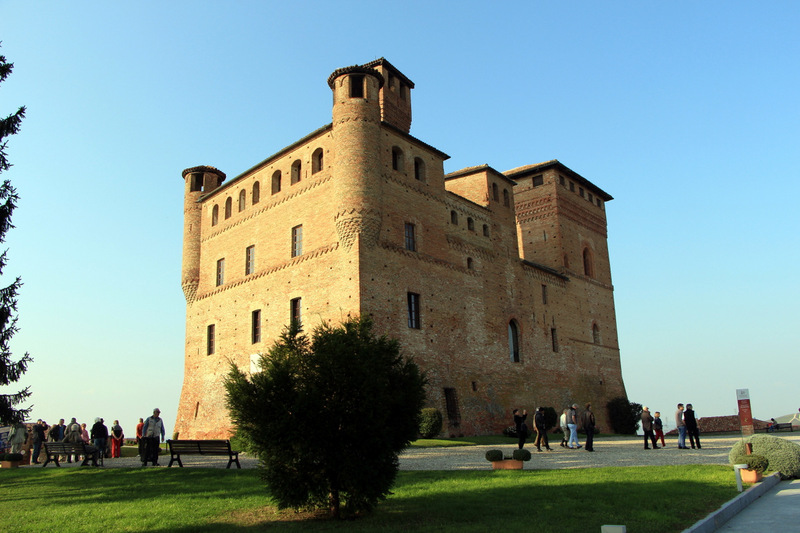 You can find some of the products throughout Piedmont, Emilia Romagna, Lombardy shops, and in popular local restaurants like Villa Tiboldi, and the Slow Food darling Consorzio in Turin. 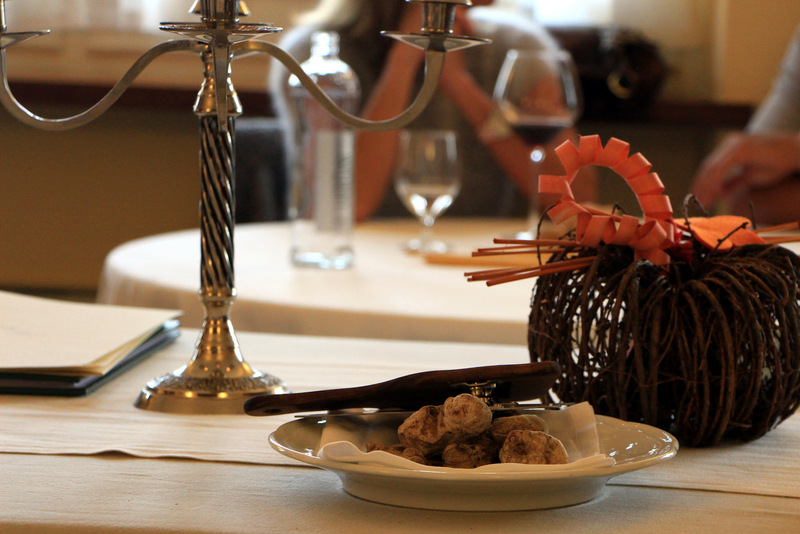 The legend of the Grissini is alive and well, and the tradition can be felt in Barolo and throughout Piedmont. Whether the story of young stud Amadeus and his determined mom is true or not, here’s to Grissini, and here’s to all the moms out there. “Err” thats what my scale said this morning, two days after we came back from Piedmont and Emilia Romagna. So I tried again, and this time it said “One at the time”, followed by “Err”. But I really dont feel like “Err”. I feel like I ate very well, as in plenty of non processed, organic home cooking very well. 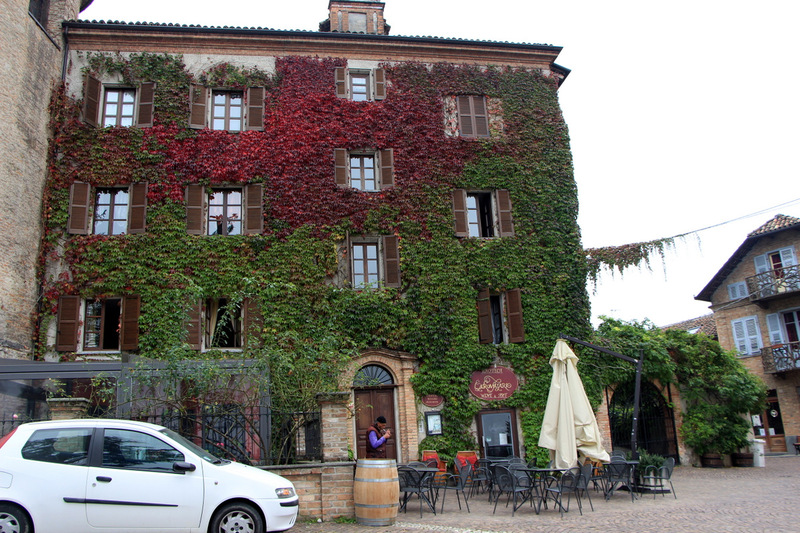 In fact, it was the greatest food trip of our young lives, and the first Italy trip where food and wine was the main focus. The biggest tourist attraction on this trip was a statue of an oversized woman squeezing her breasts. 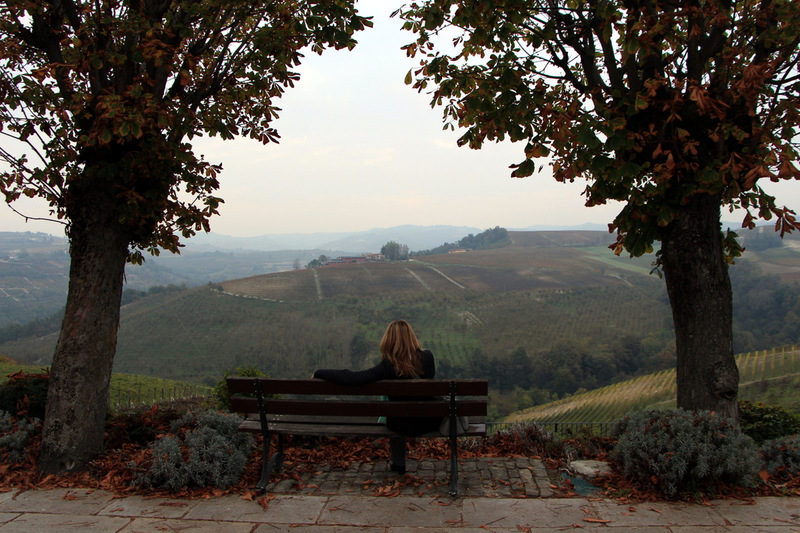 I will have much more about this trip, but meanwhile here’s a small recap of what we did in the Piedmont leg where we spent four days filled with wine, white truffles, onions, wrong turns, mushrooms, lakes, black truffles, vineyards, wrong turns after dark, and more white truffles. 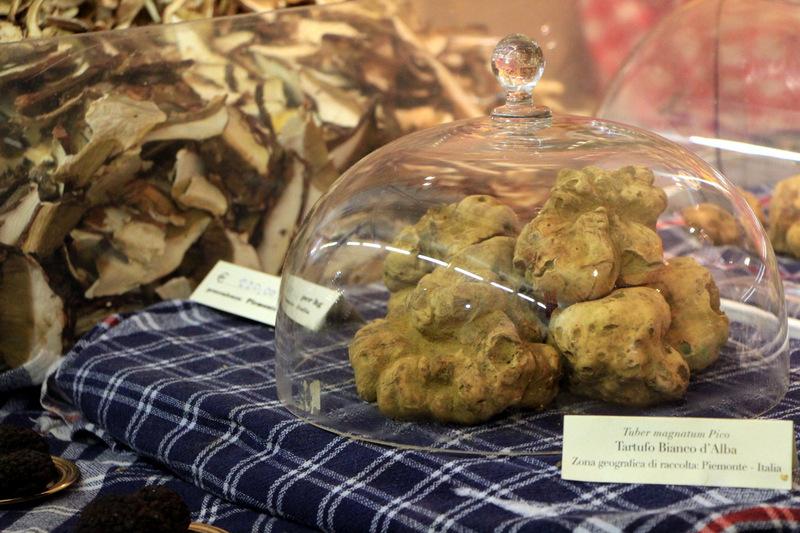 One of the reasons for this trip is the Truffle Festival in Alba, a town renowned for its White Truffles and hazelnuts. 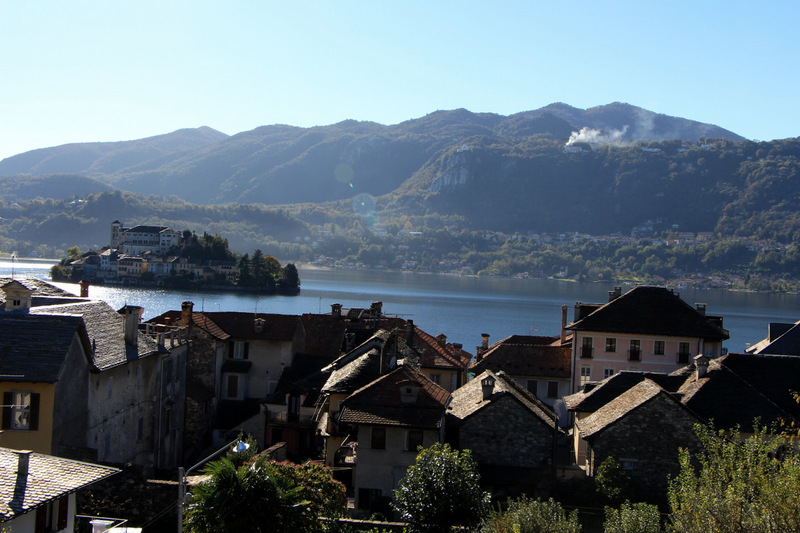 The entire town smells of Truffles and Nutella (this is the birthplace of Nutella). 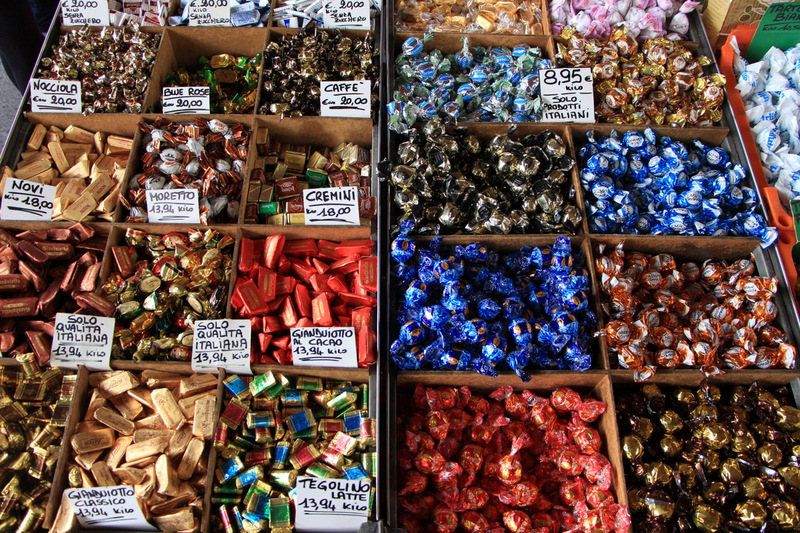 But the big bonus on this day was the huge Saturday market where we indulged in chocolates which I regret not buying more. 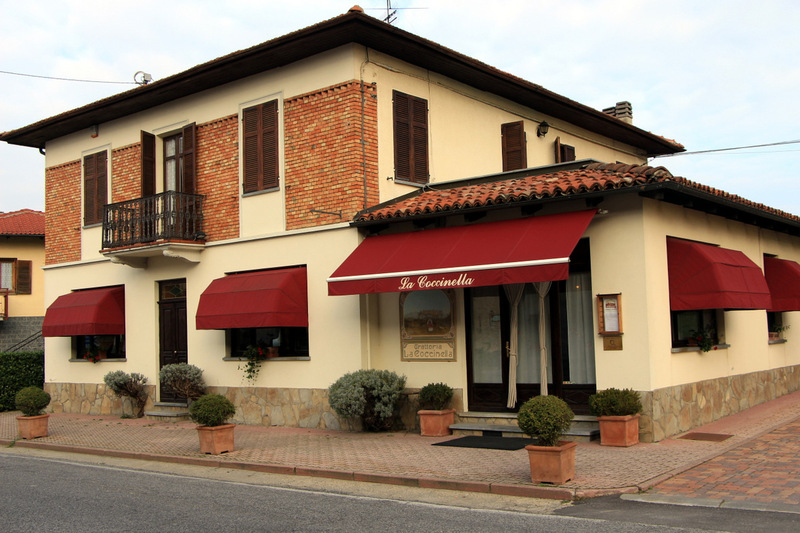 Lunch on this day was at La Bottega del Vicoletto, a typical small family trattoria, where we had our first of many truffle tastings. 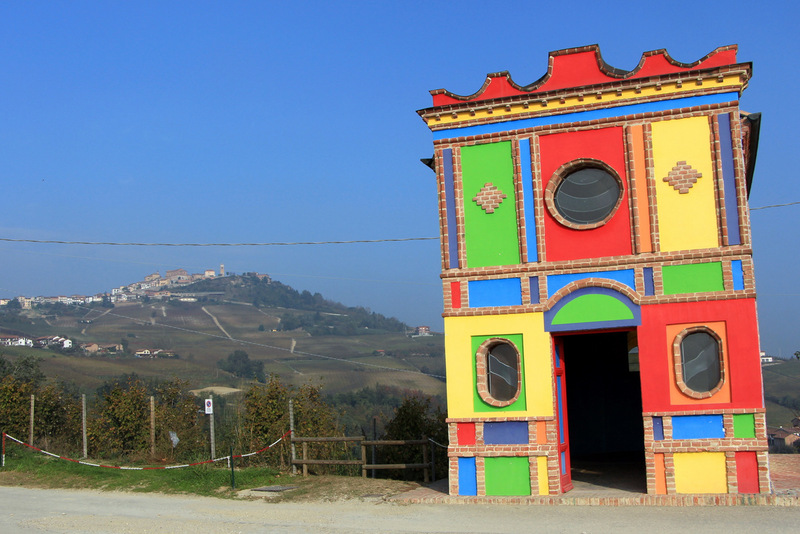 Drove to Barolo the long way to find this odd looking church. 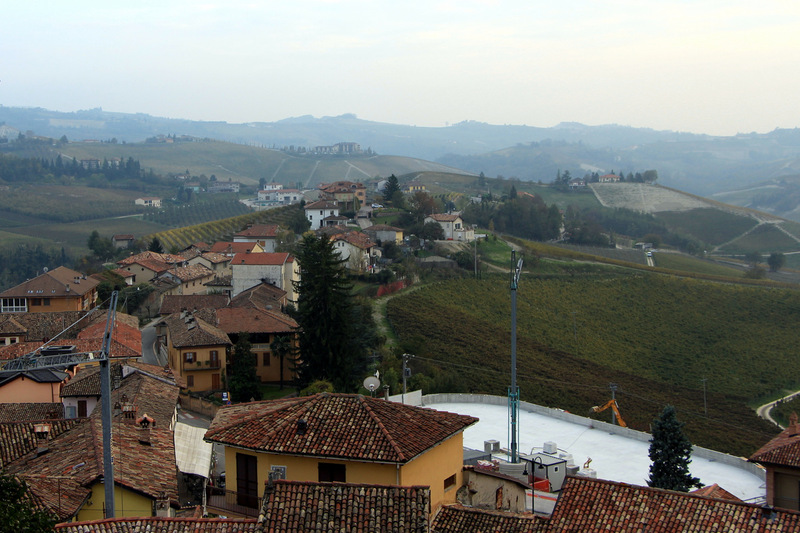 Barolo is another stunner, not overrun with tourists considering its name. But we were more interested in the breadstick manufacturer than wine, where we got a private demo of the breadstick making process. 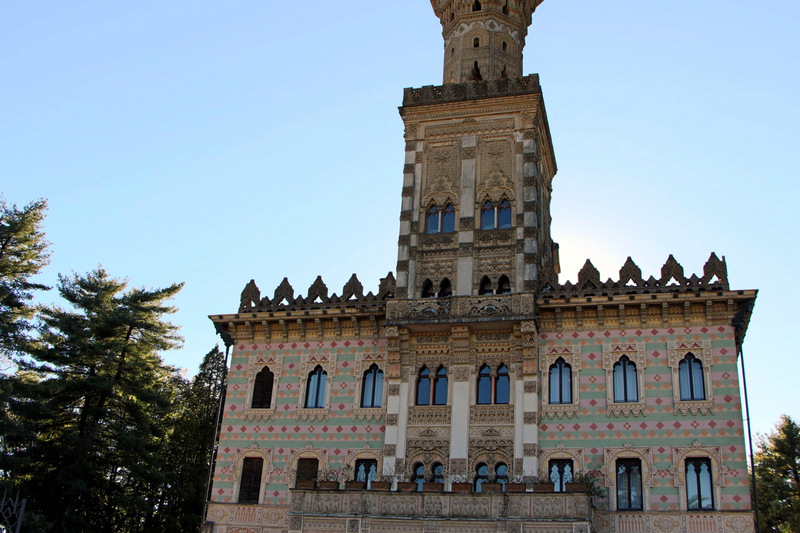 More spectacular views everywhere we turned, but none perhaps like the drive from Barolo to Serravalle D’alba and our power lunch with the three brothers at Trattoria La Coccinella. Yet another gem.